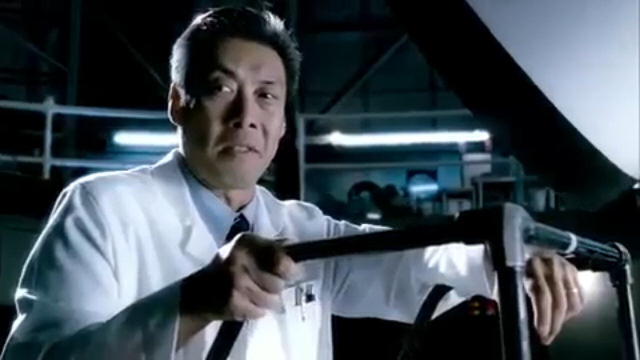 GamesRadar has collected sixteen scenes from movies based on video games that they consider lackluster. 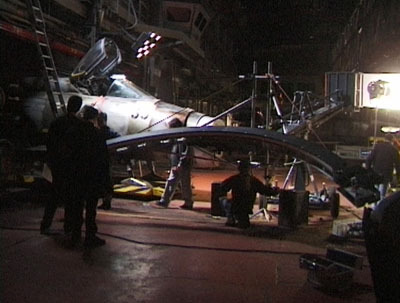 They singled out the frozen-3D Time Slice used during the Wing Commander Movie's interstellar jumps. 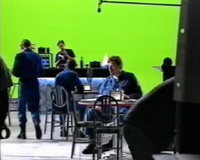 While perhaps not the most exciting use of the technique, Wing Commander was the first to employ it on film (yes, before The Matrix). I would also consider it a pretty cool way to show a transition that is otherwise most commonly accompanied by just a bright flash. Thanks to HoTT for this one. Chad Hart let us know about the recent passing of space artist Robert McCall. 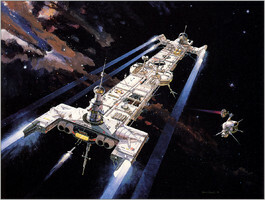 He was responsible for numerous conceptual and futuristic illustrations dating back to the 1960s. Classic depictions such as the one below went on to inspire a generation of artistic work, including some that should be very familiar. Check out more of his creations here. How Much for the Plasma Gun Option? 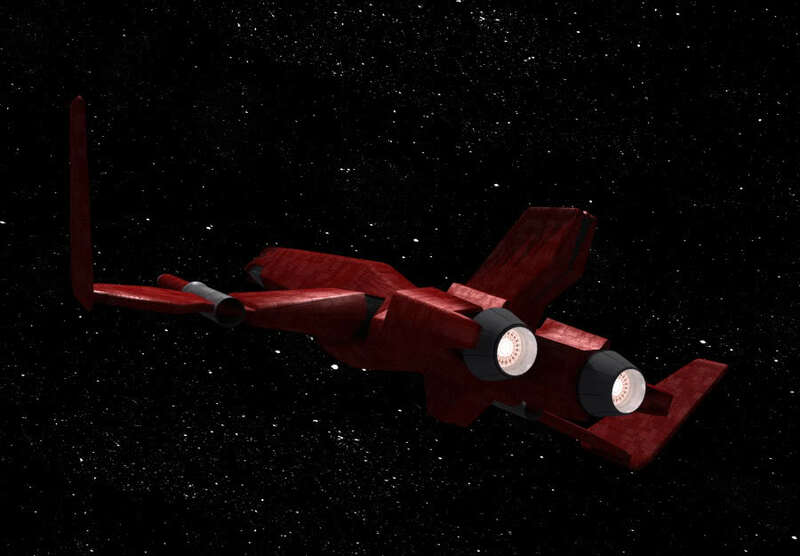 Here's some more interesting renders that Red Baron made out of the Origin 3d model archive. 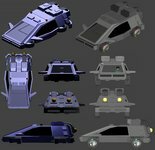 These show off the exquisite detail that went into making the background vehicles on the major bases. There's also a funny picture of the analysis machine on Oxford. 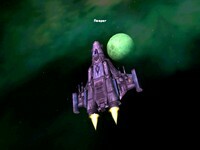 Next up something you don't see that often, background vehicles from Privateer. They may not be as detailed as the ships, but consider that normally you don't see as much as a few pixels of them, and they still pack a LOT of detail for that. So, we have the Inlvuil (? 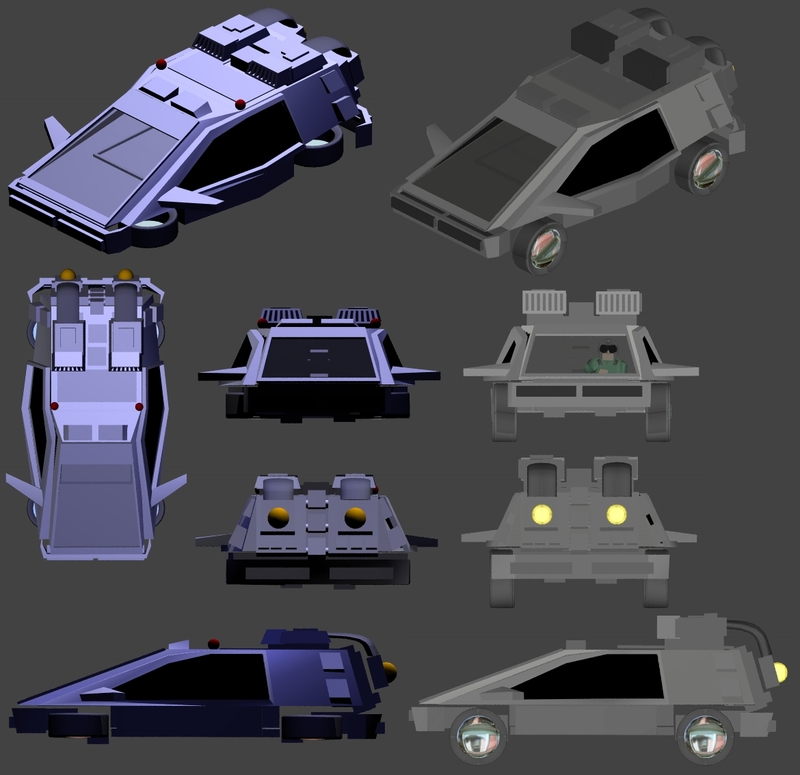 ), some kind of Space Delorian and a car with a plasma gun(!) mounted on its side. 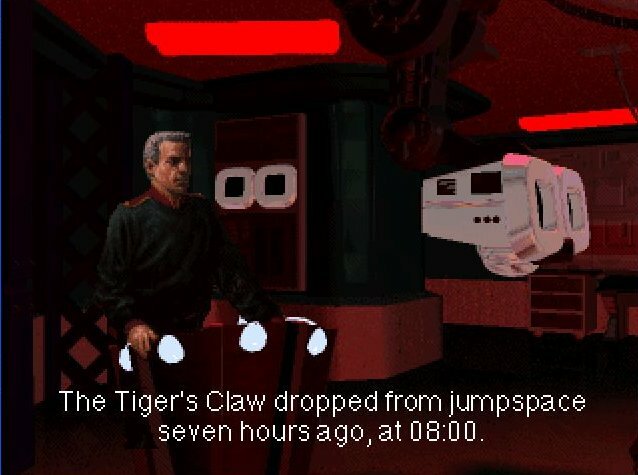 Here at the CIC we're especially proud of the Wing Commander community and its ability to generate a seemingly endless stream of nonstop news material. Who would have thought we'd still be pumping out daily updates in the 2010s? Counting all of our news archive back to 1998, today we've reached 10,000 individual front page posts! Sharp readers noticed the little numbers under each update click up to five digits a few weeks back, but today's figure accounts for some deletions and clean-up that occurred over the years. If you've never clicked on it before, hit the On This Day menu link and see what we were talking about in the world of Wing Commander five, ten or even more years ago! Thanks, and keep the news submissions coming! 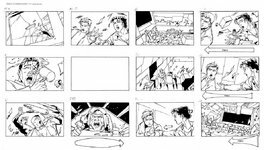 The sketch artist who drew up scenes for the Wing Commander Movie has posted two of his cool storyboards. Andrew Wildman has a Wordpress Site with daily musings and some of his professional work. The sequences here appear to picture shots on the Diligent and of the Tiger's Claw's flight deck decompressing. 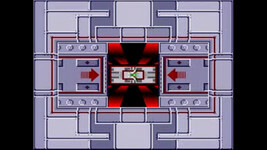 Note that these flow from top to bottom and then left to right. 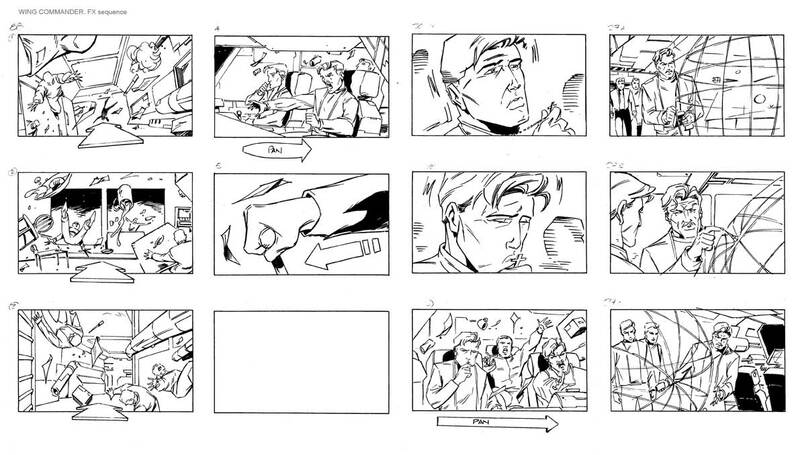 Storyboard for an ‘bullet time’ effects sequence in the film Wing Commander. 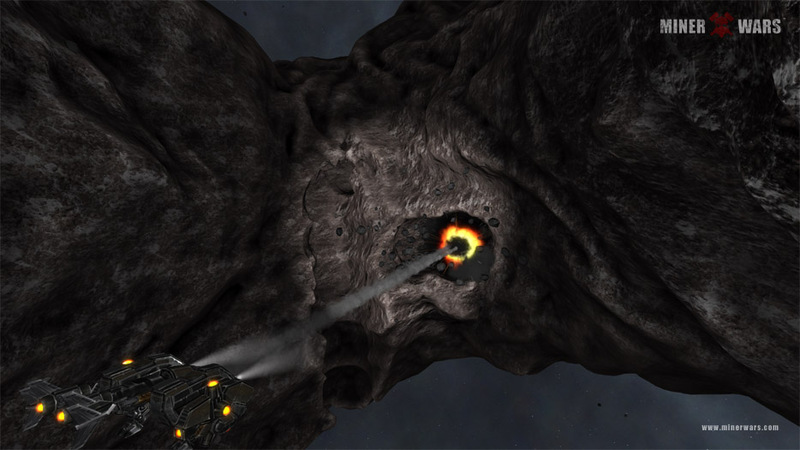 Space Sim Central has begun collecting information on Miner Wars, a new space sim targeted for release on Windows and XBox Live Arcade. 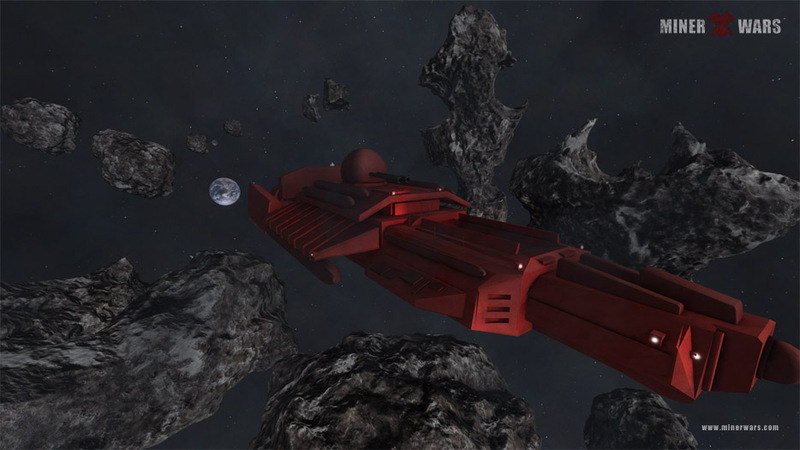 It's built around both single and multiplayer gameplay and includes fully destructible environments. As the title might suggest, pilots operate and upgrade space ships in a vast asteroid field. 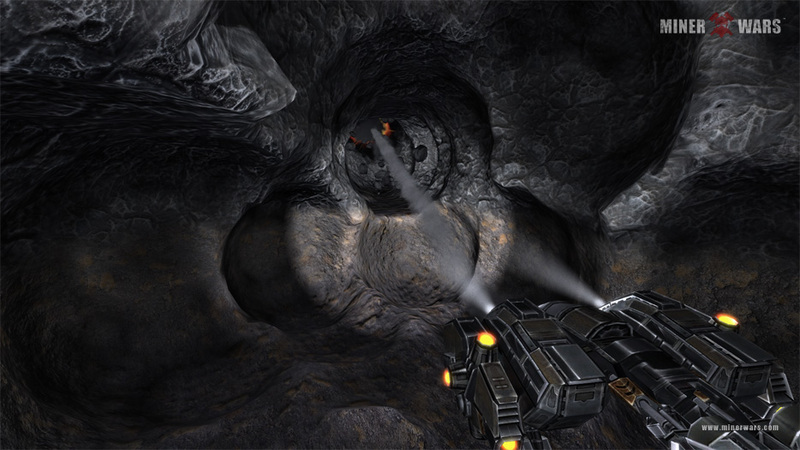 Some of the rocks are as large as small moons, and players have the ability to mine, bore tunnels and explore. 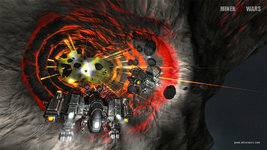 Find more information and gameplay movies at the Miner Wars website. 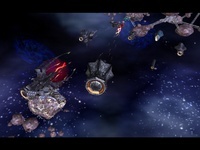 Gameplay is led by an epic story and is a combination of a single/multi-player game, cooperative, or you against everyone. High quality rendering and special effects, realistic physics, unique 'destructible engine', and game area with no borders make this game a real life experience. 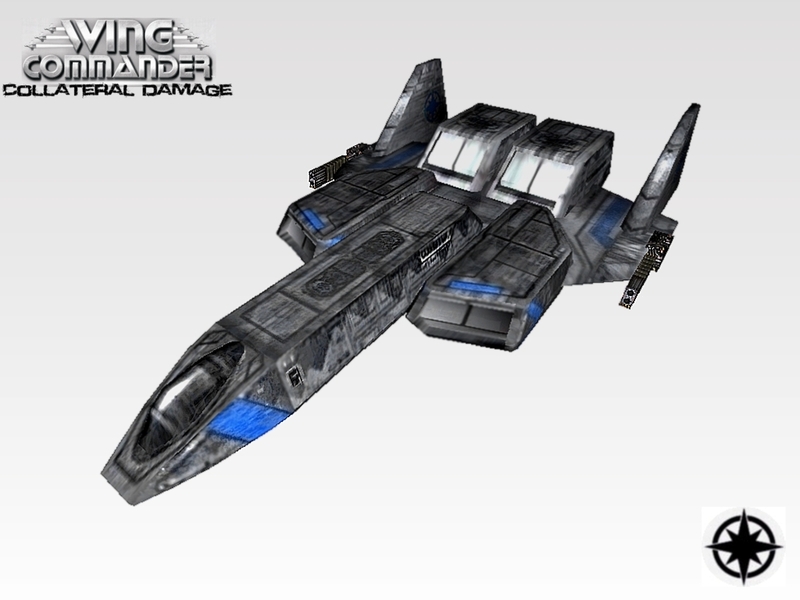 JasonRocZ has mocked up a cool Arena-style wallpaper for Wing Commander Collateral Damage. He's profiled the Excalibur for this image. A new version of the ship, called the Wyvern, will feature prominently in his forthcoming Secret Ops mod. I like the 'Collateral Damage' font script used there! Check out his previous Nephilim wallpaper here. One of the gems in our Holovids section is this behind the scenes footage from WC3. 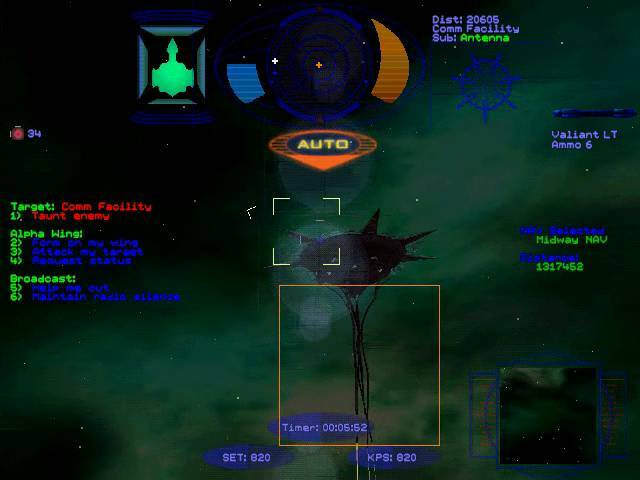 Much of the Victory's environment was computer generated, so the acting happened in almost entirely green surroundings. Also included are interviews with cast and crew. Get the H.264 version for the sharpest picture. 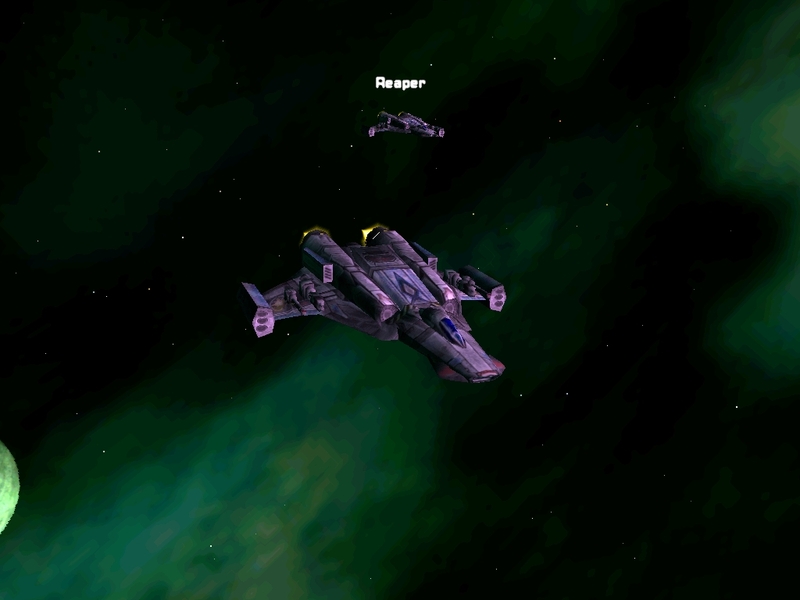 There's been an uptick in fans asking questions about Wing Commander missions lately, and that's a great thing! While all manner of discussion involving tactics, strategies, tips and tricks are always encouraged at the CIC Forums, there is also a quick reference available. 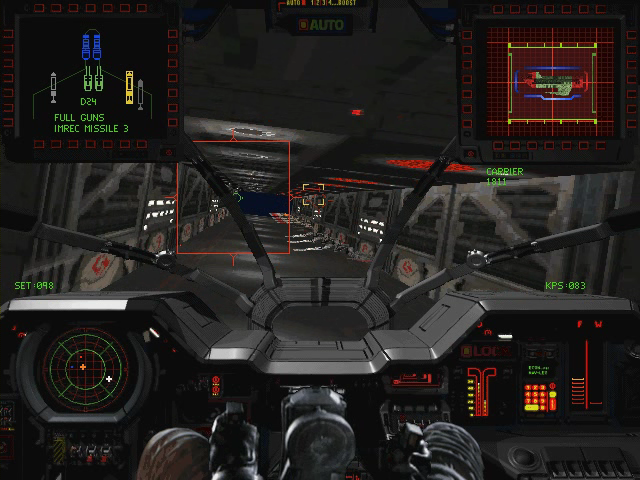 The Game Guide Section, CIC Teal, provides mission briefings, nav map diagrams, enemy strength data and helpful hints on some four hundred Wing Commander missions spanning more than a dozen WC games. Below each mission page, fans are also welcome to post their own comments when they have something to contribute. Kris has just upgraded the commenter with a datestamp feature. When you need a little intel, check out the Game Guides section here. lew82 has quickly bounced back from the release of Frontier - Prelude to Darkness part 8 and is hard at work on chapter 9. 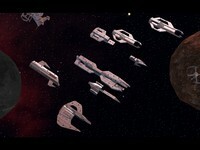 Numerous ships and characters have been profiled at Ardament, and dialogue recording is under way. The tentative release is planned for later next month, which gives viewers plenty of time to catch up on previous episodes. Prolific Wingnut artist NinjaLA has released his second game for the XBox 360. 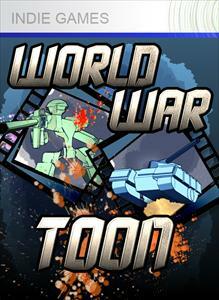 World War Toon is available now in the XBox Live Marketplace for 240 Microsoft points, or about $3. Ninja did the artwork, and his partner Brian S. was responsible for the coding and construction of the game. 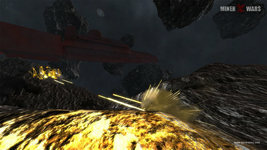 Development was made possible by the XNA 'indie platform'. 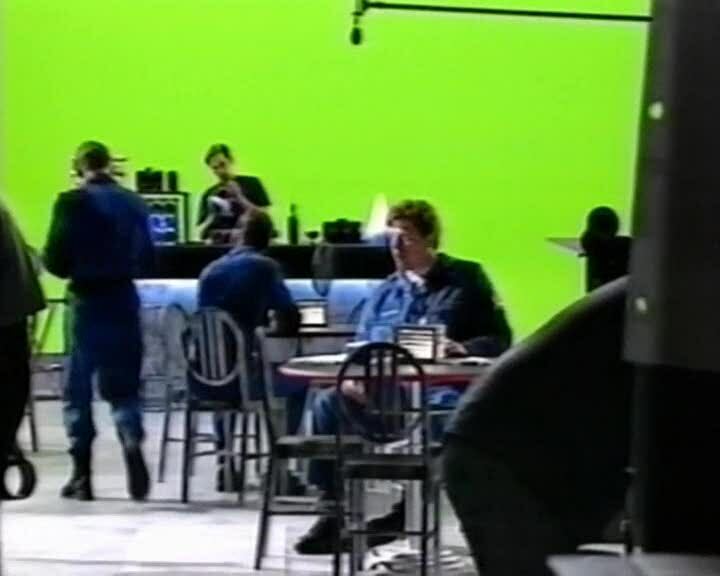 On a tangential note, one of the Microsoft leaders responsible for XNA is Origin vet Frank Savage. 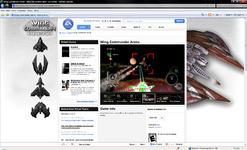 Check out the WWT demo or grab the full game (sent to your 360 via the web interface) here. Ninja's first game was No Frills Sudoku. 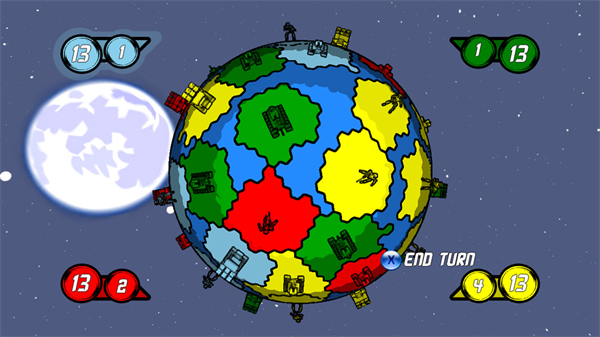 World War Toon is a quick-paced turn-based strategy game. Much like Risk, it has territories that the player fights for control of. 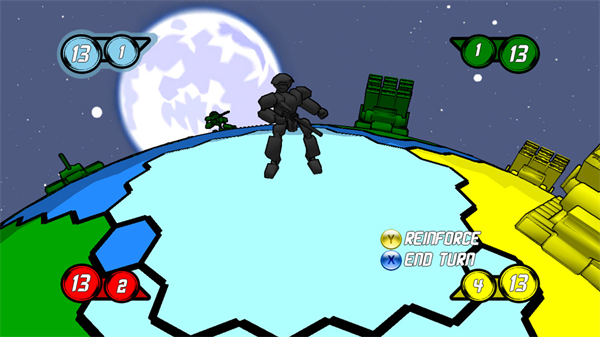 However, instead of the flat board that Risk is played on, World War Toon spans a globe with randomly generated territories. This makes for a nearly infinite number of unique games, no two are ever the same. 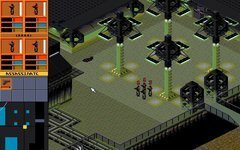 Where Risk had a basic concept of units, with the only difference between them cosmetic, World War Toon has three distinct unit types: Infantry, Tank & Rocket Launcher. Each type has an advantage against one other type when in battle. 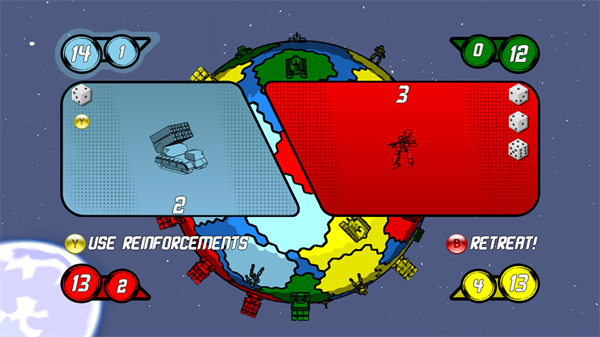 This makes for a new level of strategy as players try to maneuver their units to allow for the greatest advantage in future battles. Also separating World War Toon apart is the concept of Reinforcement Dice. 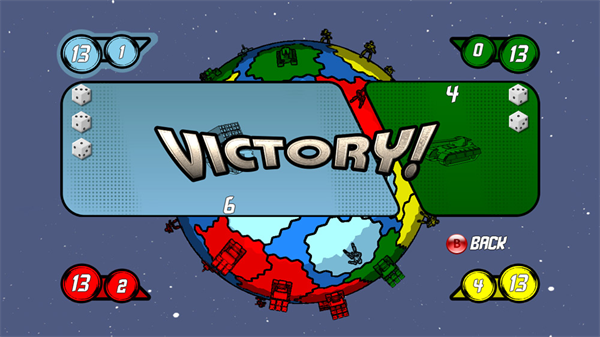 Where Risk rewarded you by allowing you to place more units into your territories, World War Toon allows you to add more dice to any battle. Rather than stacking huge numbers of units onto a territory, you can call up your reserves whenever you need them, even on your opponent's turn! 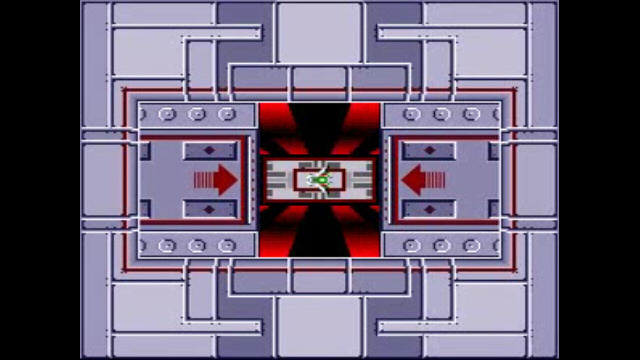 To quicken the pace of the game further still, the player can choose from traditional setup or quick play. 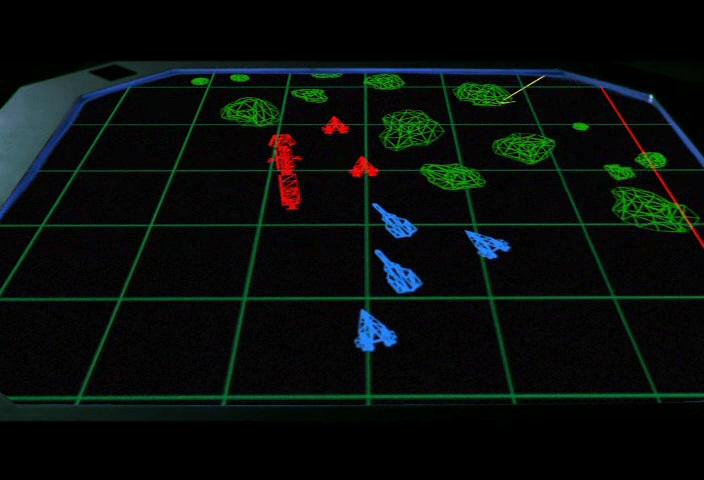 In traditional setup, each territory is picked by the players before the game begins, much like in Risk. 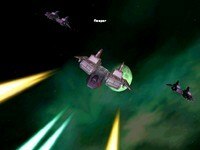 Quick play allows the player to skip that setup phase and gets straight to the action of battle. 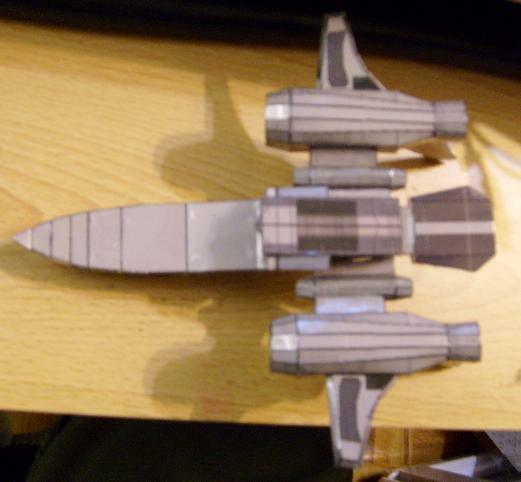 RapierDragon's paper Gratha is ready to build! 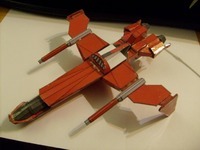 It's an exotic bird that's based off the version pictured with Super Famicom WC1 in Japan. 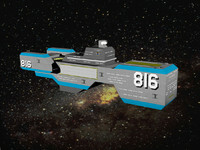 Michelle D did a digital render of the ship some time ago, and RD ran with it. Download your blueprints and construction materials here (3 meg zip). Starbreeze Studios has announced that one of two games it has been developing for Electronic Arts is being shelved. 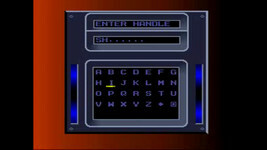 The developer's two known games were Project Redlime and a title based off the Jason Bourne series. 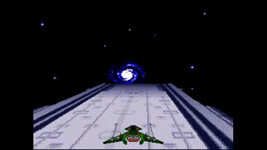 Though rumored to be a Wing Commander game at one point, Redlime appears to be a revisitation to the Syndicate series. I hope it's the Bourne game that got the boot. "We will continue to focus only on a big production together with EA," says Starbreeze CEO Johan Kristiansson, and continues, "Our relationship with EA is stronger than ever, and the aim now is to spend more resources on the game that demonstrated the greatest potential. Detta spel är redan i fullskalig produktion.” This game is already in full production. " Here's more shots of the new Nephilim ships roaming the galaxy in WC Invasion. 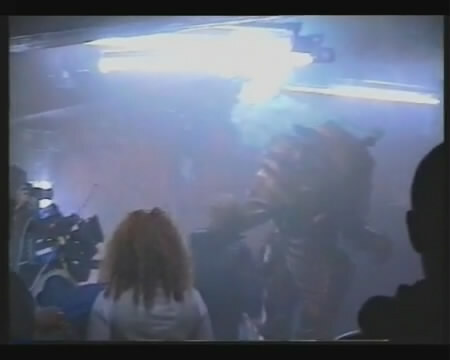 The Kraken has a slower rate of fire than the Tiamat, but in concert they are extremely scary! Weapons effects for each craft also look pretty cool. GameSpot is reporting that Electronic Arts is exploring an expansion of its digital distribution. 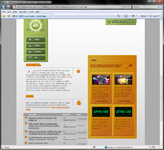 Specifically, the company is looking at charging $10 to $15 for longer and more full featured demos. Downloadable Battlefield 1943's stunning success at $15 has helped push the market in this space. That game has gone on to sell 1.2 million copies between XBox Live Marketplace and the Playstation Network, and Infinity Ward's five-level map pack for Modern Warfare 2 will be released next week for $15 as well. It sure makes Wing Commander Arena's $10 price tag look good! Check out the full article here. 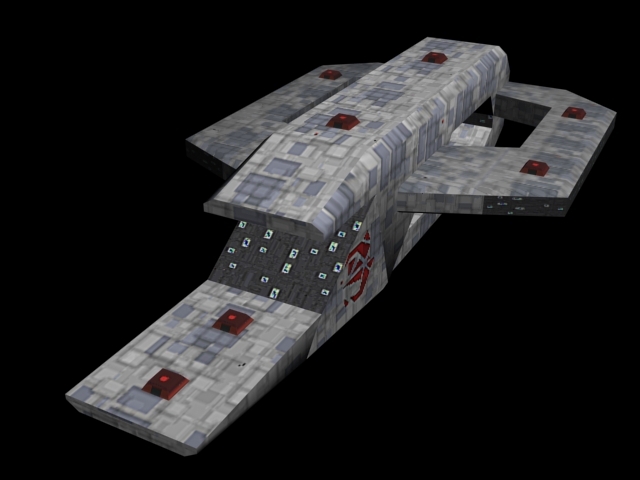 Here's some more pretty in-engine screenshots of the Wing Commander Collateral Damage ships. 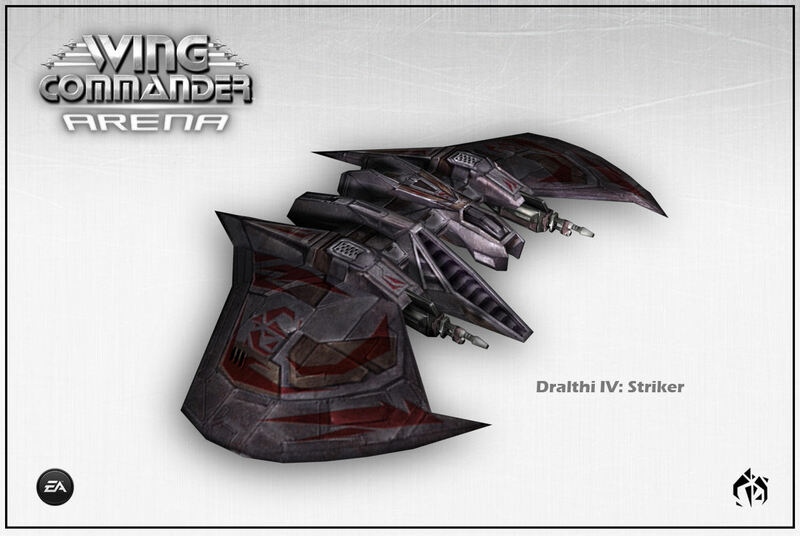 It's hard to pick a favorite here, but the Dralthi IX Striker is especially well done and shows off a new WC Arena fighter very nicely. 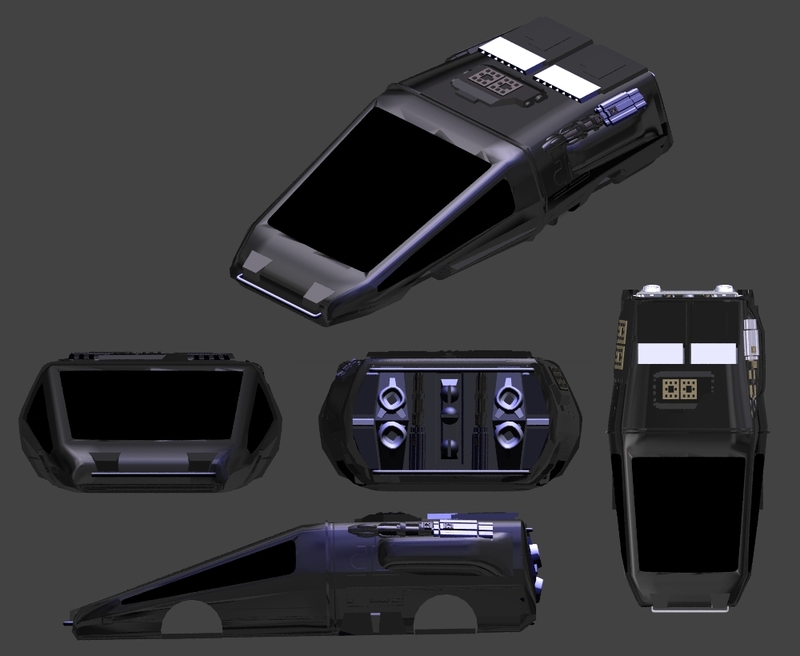 We can't wait to see missions involving these things! 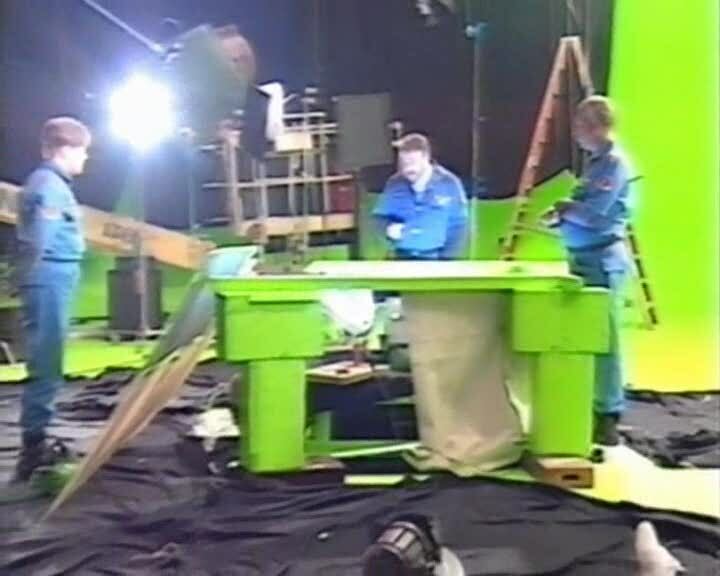 A scientist studying new pictures of the moon has found Richard Garriott's long lost lunar rover. What? That doesn't sound right? 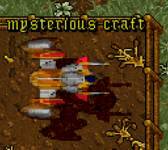 The Origin founder actually purchased ownership of the '70s-era Soviet craft at auction back in 1998. Now that its location has been pinpointed by the Lunar Reconnaissance Orbiter, Mr. Garriott would love to get a closer look at his property. It would fit in well with his collection of self-operating machines. Wired has more info. 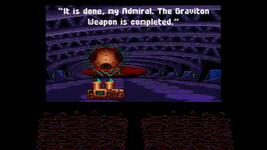 Richard Garriott, who created the Ultima Online multiplayer game, bought the Lunokhod 2 in a Sotheby's auction in New York in 1998, despite the fact that it was lost on the moon somewhere. He hadn't heard that the craft had been discovered when Wired spoke to him. 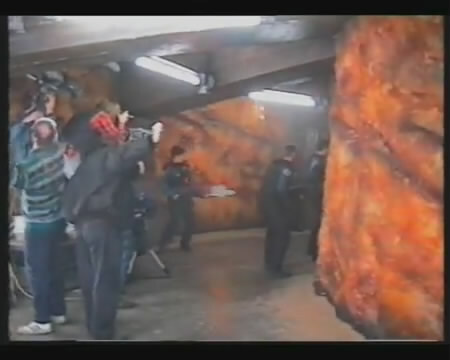 ... Garriott told Wired that he was excited about the prospect of seeing the photograph showing the craft. He added that he is currently "the only owner of an object sitting on a foreign plantary body" -- and pointed out that while countries are prevented from buying property on the moon, individuals are not. 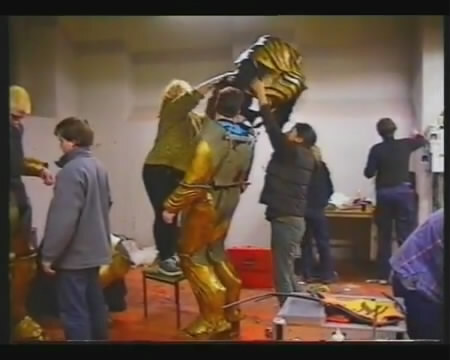 Ever wonder what was under all that make-up and prosthetics that made up the Kilrathi in the Wing Commander feature film? Well, apparently part of the answer is: a man named Ed Rice. Ed was recently scouring his attic, possibly doing some spring cleaning, and came across some leftovers from his time on the set of Wing Commander. 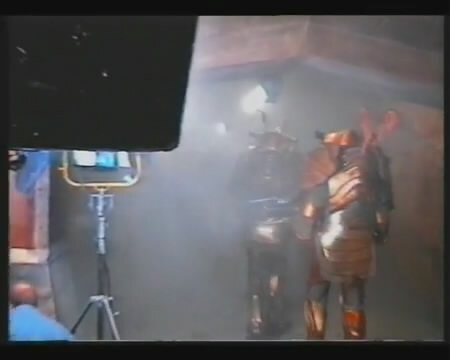 One item was a VHS tape containing an exciting behind-the-scenes look at the making of the film. 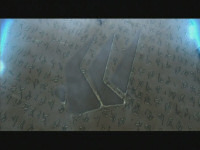 There's some pretty neat stuff in the video, if you have a keen eye. This includes some of the best views we've had of the Kilrathi bridge and its Sivar idol and some other hints at some footage missing from the film. You can watch it online at his Youtube channel here, or download the FLV here. 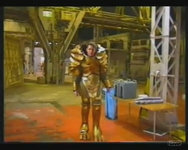 For reference, don't forget to check out our rundown of some of the missing scenes from the movie here. Readers in the UK have a few chances in the next day to catch the Wing Commander film on both Sky's HD and SD Sci-fi/Horror channels. The movie can be seen Monday, March 22nd at 2:50 a.m. and again at 8:45 p.m.. The film can also be watched on-demand with Sky's subscription service. WCX was inspired by the Standoff Easter Egg to attempt a translation of the Tome of Sivar. 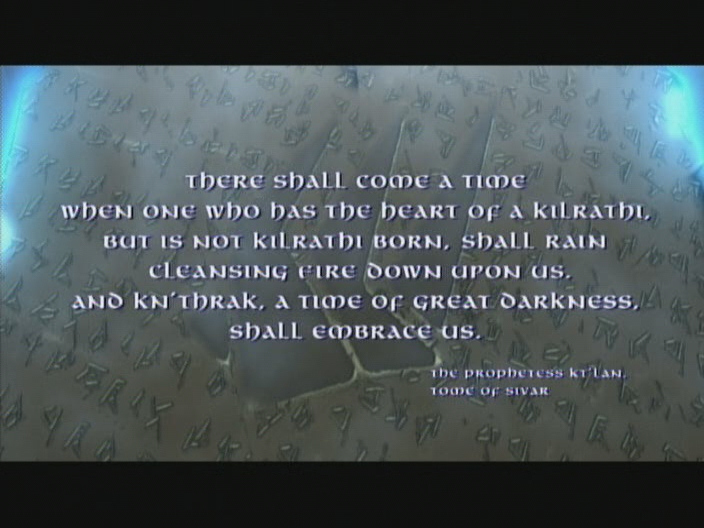 Although Prophecy provides a paraphrase of its own, it's no surprise that the glyphs depicted produce something wacky. WCX has also found some weird variations and differences between what's actually carved in stone and what's in Origin's decoder key. What do you think? I invite others to take a stab at this. A fresh pair of eyes always helps. It’s cool that such a resource was found. 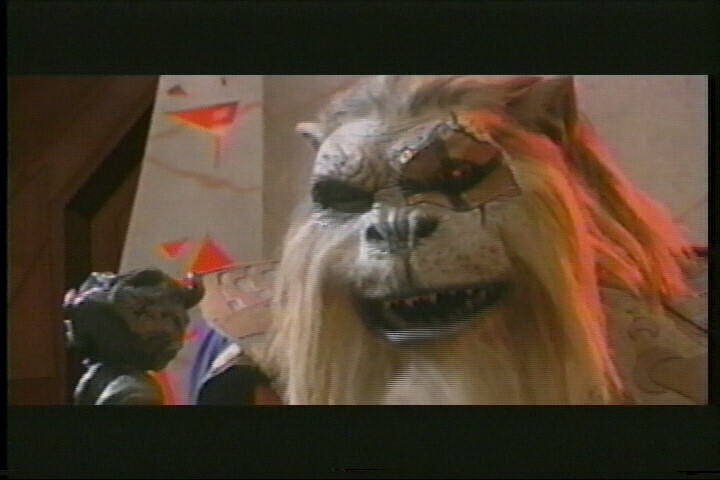 Granted it’s more than a little weird that the Kilrathi would have a 26 letter alphabet, but whatever. We’ll just work with it. First off, the camera angle is slanted slightly, making it tricky to determine a shadow from a shallow cut in the stone at. Secondly, some of the letters aren’t exact matches, and other could be any of two or three characters. 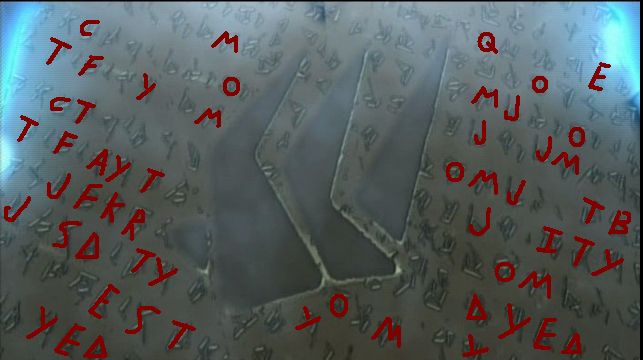 Still some of the letters/characters on the tome appear to be mirrored or inverted versions. And a few appear to not be on the list. I can only assume that if these is some sort of Alphabetic writing system, then it has many more than the 26 letters listed. 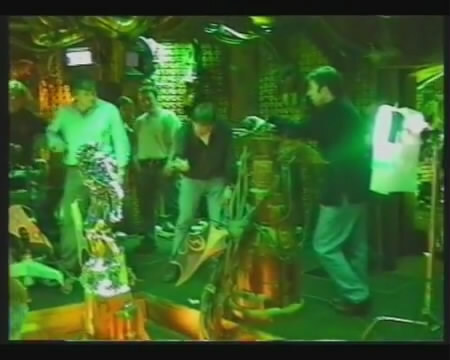 Now, the fact that some of them appear to be reoriented in different directions, similar to the characters seen in the movie, makes me wonder if there is some underlying element of the Kilrathi psyche at work here. For real world example, if you take the symbol for “War” (it kind of look like a bird’s foot) and invert it, making it negative (while placing in a circle representing a continuous or endless existence) then you get the famous “Peace Symbol”. 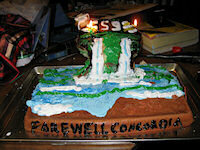 Symbology can be a fun, and at times eye-opening, excursion. Major Payne has unveiled Wing Commander Invasion's first Nephilim ship in the Empire at War game engine. 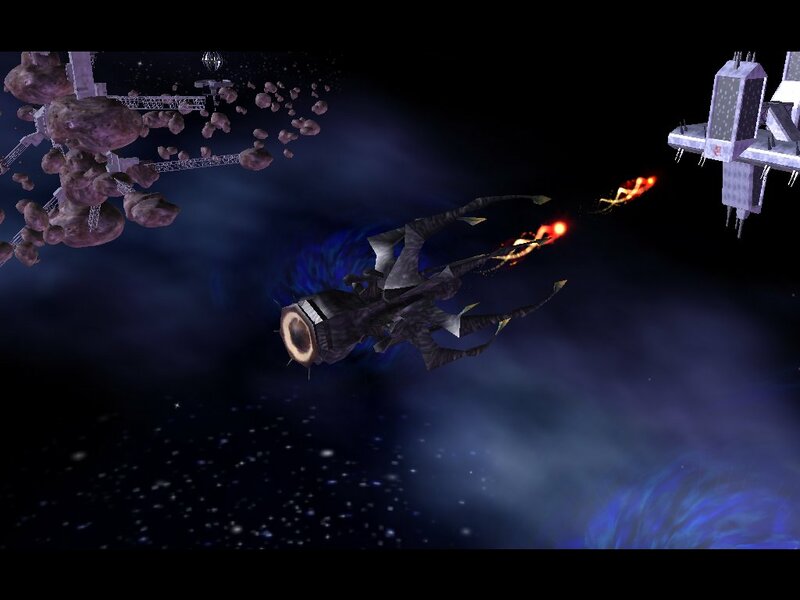 The shot below shows a Tiamat firing its main plasma weapon. Right now he is testing a ten second refire delay. 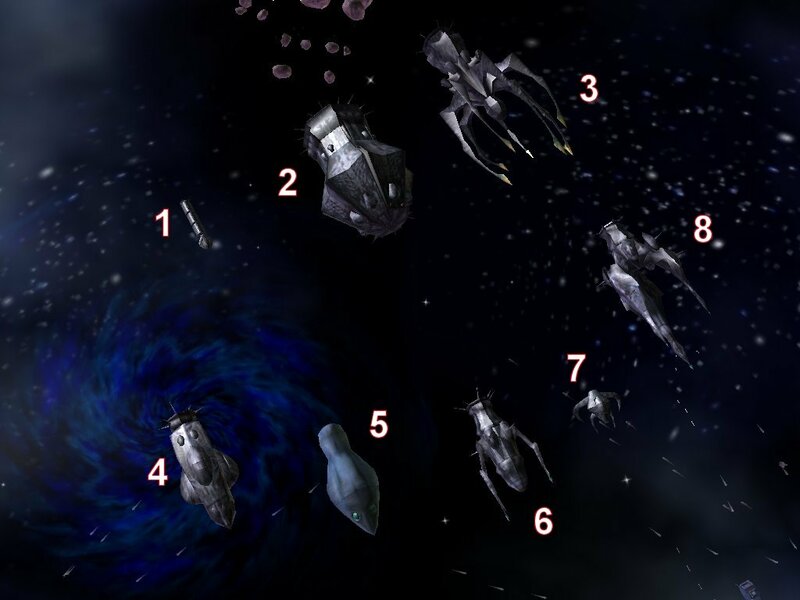 Each long range shot disables a hardpoint on a capship or structure, but the large Dreadnought has a weakness for coordinated fighter and bomber attacks. Here's some more information on the Nephilim faction being built into the game. Hello again all. I finally decided to include the Nephillim as the third side (I'll go into the Border Worlds after). The reason for this is that I want to try to stay as close to the original mod as possible, and even though the Border Worlds were given consideration, I felt that the side was more of a mish-mash of Confederation ships. In other news I have begun to compile the v2.5 patch. This patch already has some tweaks and a couple of minor editings, but the long part begins now. Special weapons have not been decided on at this current time, but the Sensor Jammer and Corrupt abilities may be used. Anyway, any questions from anyone please dont hesitate to ask. 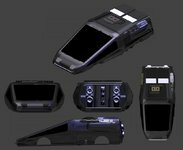 A new contract was announced today for the US military's purchase of Joint Helmet Mounted Cueing Systems for use on F-15 & F-16 aircraft. These futuristic systems allow a pilot to designate and lock enemy targets by simply looking in their direction. More than one pilot can wear their own specially enabled helmet in two-seater aircraft and independently targetly different opponents or attack sites. This ability can also extend to wingmates. 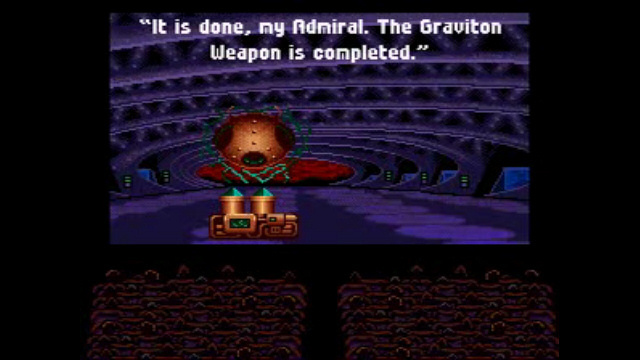 It sounds like it'd be very effective in a Wing Commander game too! First used in Operation Iraqi Freedom, the multirole JHMCS gives flight crew members the ability to rapidly acquire and designate a target simply by looking at it. By placing an aiming cross, projected on the helmet visor, over the desired target and pressing a button, pilots can quickly and easily aim weapons and sensors to designate and attack airborne or ground targets. The JHMCS visor also displays tactical information, aircraft altitude, airspeed, g-force and angle of attack to increase the user’s situational awareness. Darkmage has successfully ripped the beautiful music from Super Wing Commander in MIDI format, and the files are very tiny. All 64 tracks and samples are only 141 kilobytes (download here, zip)! 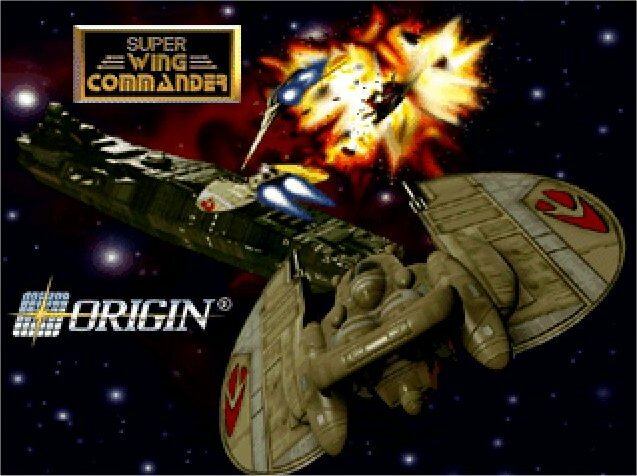 While sorting through the server, we also came across a Super Wing Commander Medley (download here, 5 meg mp3) that's absolutely delicious. 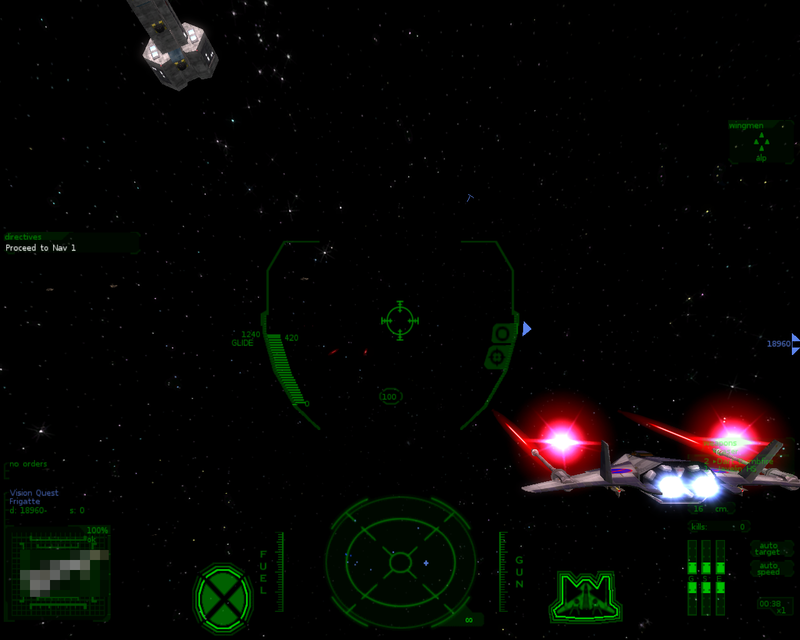 The music from SWC is very similar to the classic tone of Wing Commander 1, but with a dazzle of flash added. It's based on the music by David Govett & George "Fatman" Sanger, with some enhancement by Joe Basquez, Britt Daniels & Stretch Williams for the port. Enjoy! 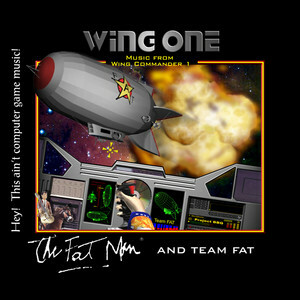 While you're all excited about classic Wing Commander music, now would be a great time to grab The Fatman's Wing Commander soundtrack, "Wing One", through the Amie Street music service. 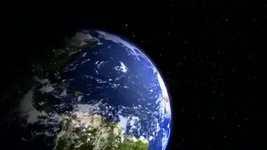 Twenty-six tracks were released throughout the Summer of 2007. Thirty second samples of each track are available to everyone, and once you've bought a song, you can listen to the full version online or download it outright. These are plain old MP3s, free of DRM. The Amie service is a little unusual in that songs start cheap and rise in price up to $0.98 as they become popular. At the time of writing, most Wing One tracks cost "full price" when purchased individually, but the entire album's 26 tracks can be had for just $8.98! Wing Commander fans who missed out on the original premiere of this album are in for a treat. The Fatman has six more albums in his Amie Street catalog, including the soundtrack to The 7th Guest. Check them out here. 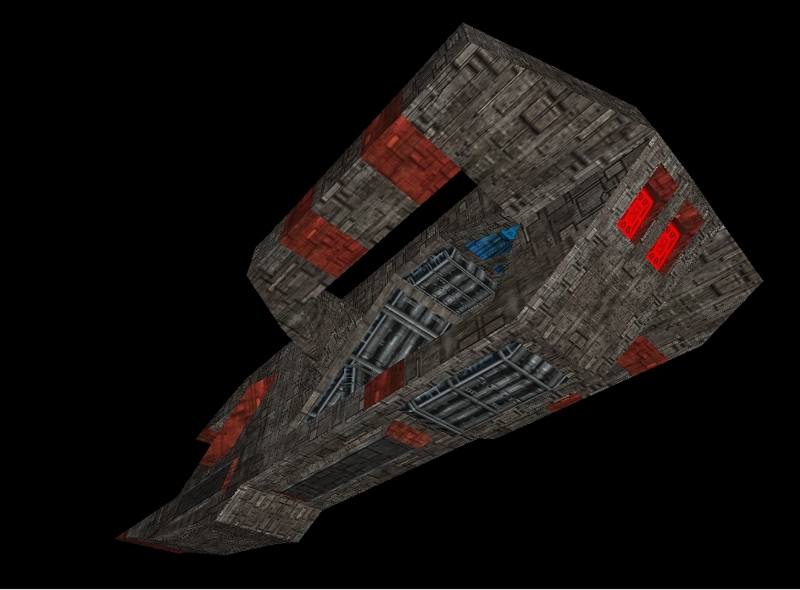 The Ralaxath Heavy Destroyer has gotten a texture tweak for Wing Commander Collateral Damage. Turrets aren't modeled, but eventually this ship will carry more than a dozen guns. The large awkward bridge that was previously stuck on the crown of the ship has also been smoothed in lower down. 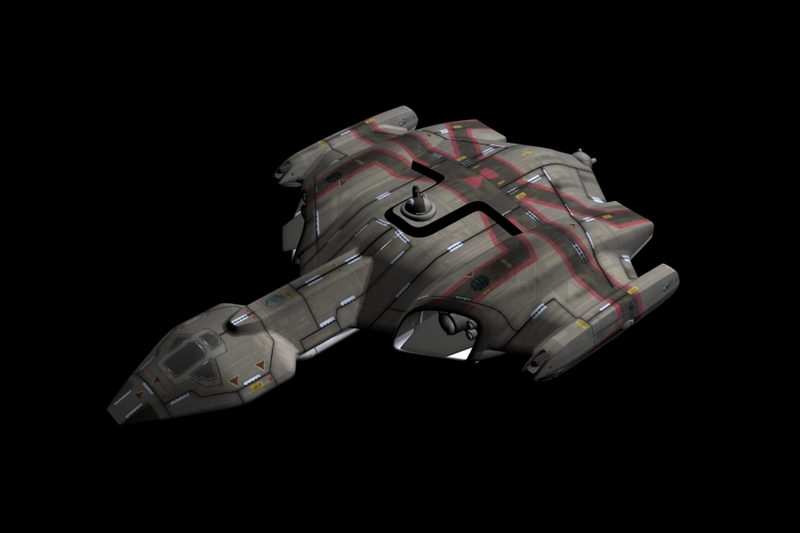 You can see I took away a little of that brownish color away and added a few details to the model. 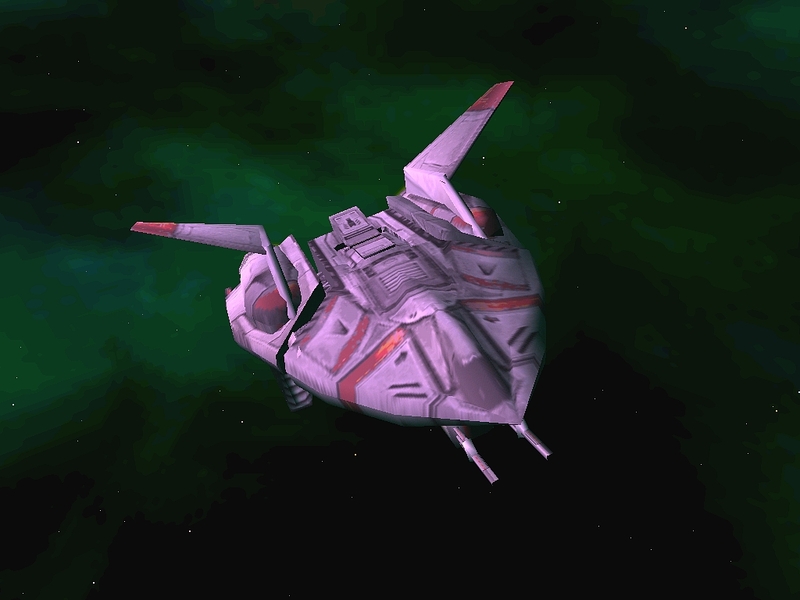 I also brought up the texture quality (sharpened, different placed items, etc...), and I changed up the metal between the parts of the ship too. To me it looks a little better, a little more uniform. The Ralaxath has been a very popular ship in Wing Commander mods lately. 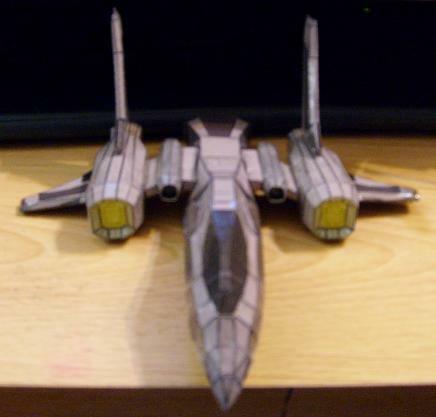 It's pretty interesting to see how each fan project has a distinctly different take on this Kilrathi heavy destroyer. 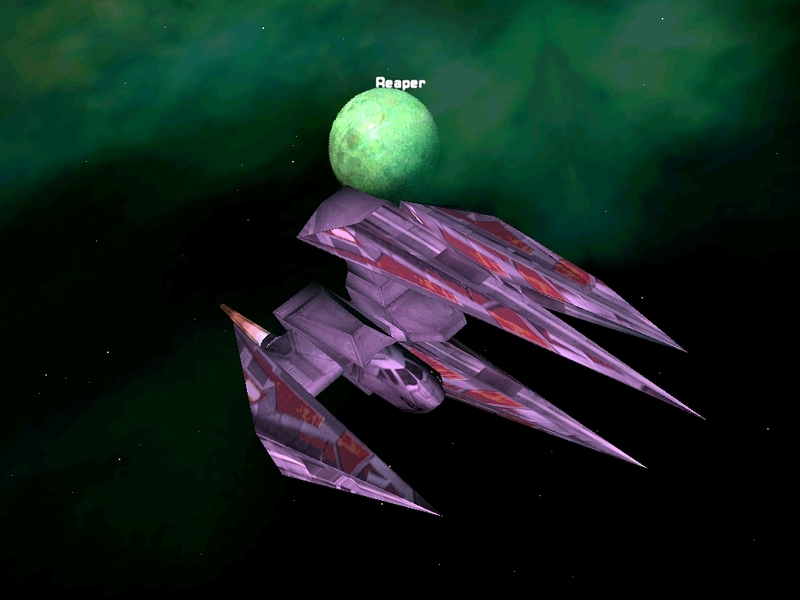 Here's the WC Saga version in the Freespace 2 engine and the Invasion version in Star Wars: Empire at War. 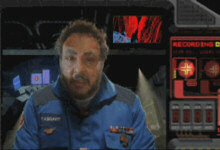 Wingnuts are reading chapter 3 of Wing Commander Freedom Flight this week. The discussion now includes everything through page 73. 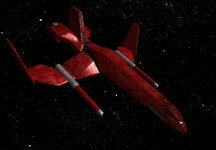 There's some very interesting stuff to learn about the Firekkans here, so share your thoughts at Crius.net. 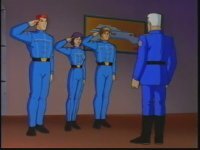 * We may have our first nod to Blair--Colonel Halcyon is cut off just before we find out who's going to be Paladin's wingman. * There's some contradiction vis a vis Jazz--the idea that he's an inexperienced new pilot (with two kills) doesn't jive with his Super Wing Commander/Wing Commander SegaCD bio. * Green goop is an awfully odd way to cure a hangover. But I didn't know that in 1992! * Spirit is flying a Raptor, although she was at the briefing with Hunter (in a Rapier II). 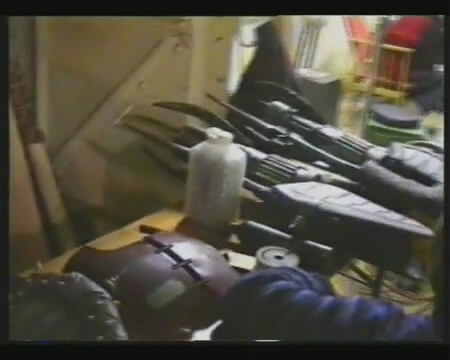 Also, it lets loose a volley of "red" weapons! 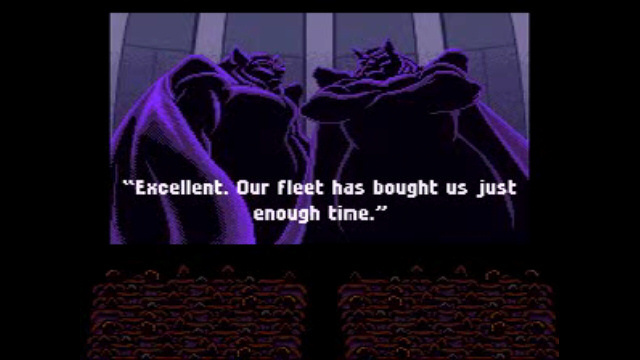 * The Kilrathi ships aren't identified at all -- just 'heavy cruisers' and fighters. 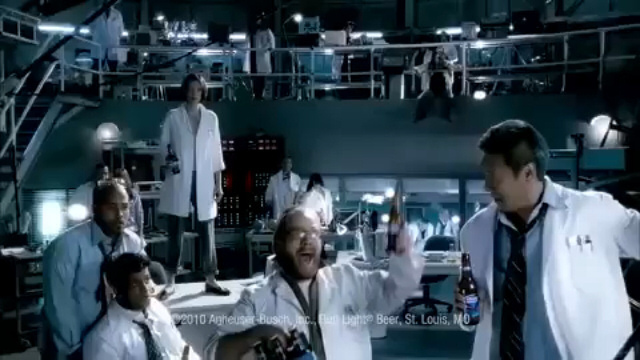 Quite a few Wing Commander fans caught François Chau in a cute Bud Light ad during this year's Super Bowl. As the scientist with the most time in space, he predicts doom as an asteroid hurtles towards the Earth. 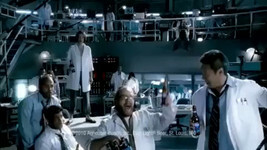 Check out the rest of the commercial here to see what happens. Chau has been playing Dr. Pierre Chang on the television show Lost over the last few years, among many other TV appearances. 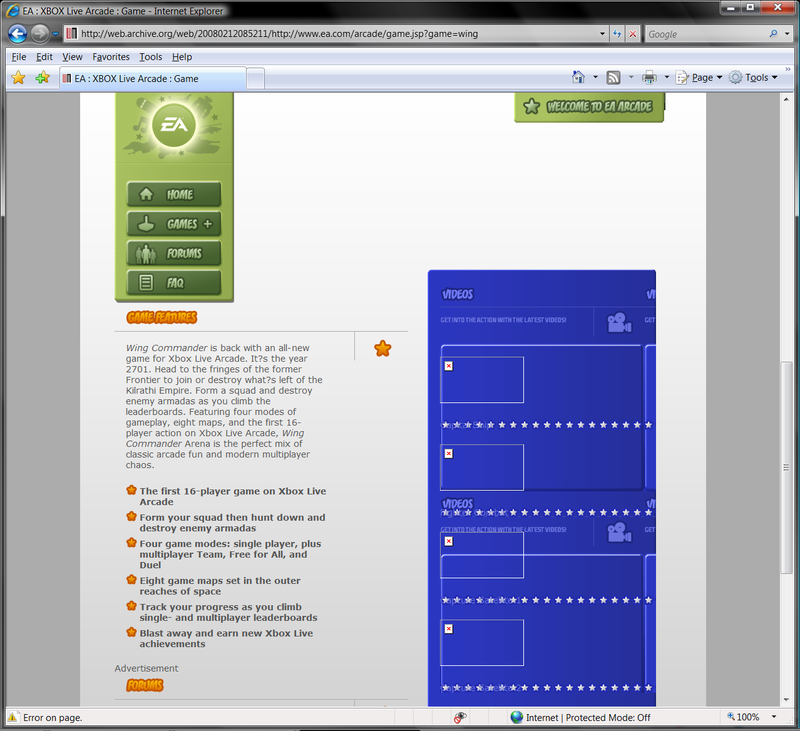 The old EA Arcade site has gone away, but it's been replaced by classy new pages at EA.com. 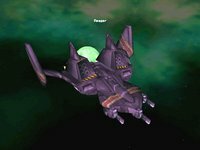 What's more, the URL that used to send players to the home of Wing Commander Arena, Boom Boom Rocket and others now forwards directly to the new Arena page. 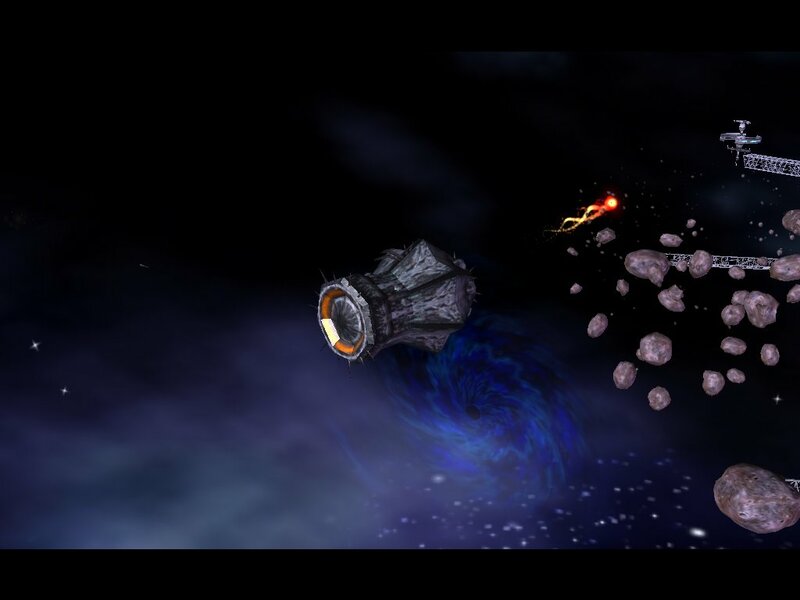 The "sizzle" videos from the XBox Live Marketplace have been placed on the site, and fancy background images based on the game's concept art and renders have been added. They add a very nice touch! 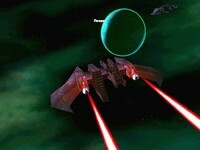 Wing Commander is back with an all-new game for Xbox Live Arcade. It's the year 2701. 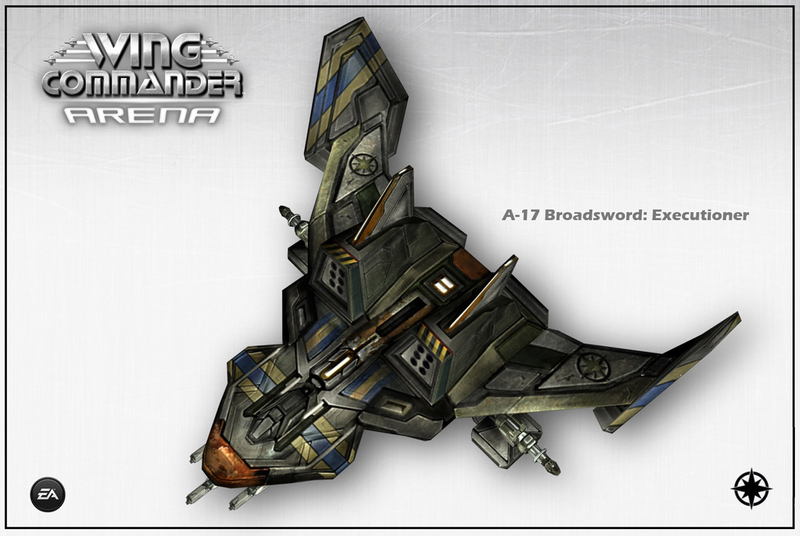 Head to the fringes of the former Frontier to join or destroy what's left of the Kilrathi Empire. 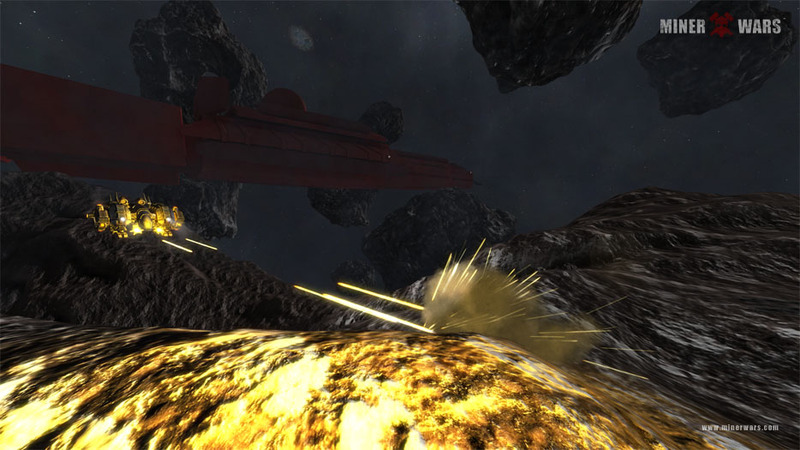 Form a squad and destroy enemy armadas as you climb the leaderboards. Featuring four modes of gameplay, eight maps, and the first 16-player action on Xbox Live Arcade, Wing Commander Arena is the perfect mix of classic arcade fun and modern multiplayer chaos. 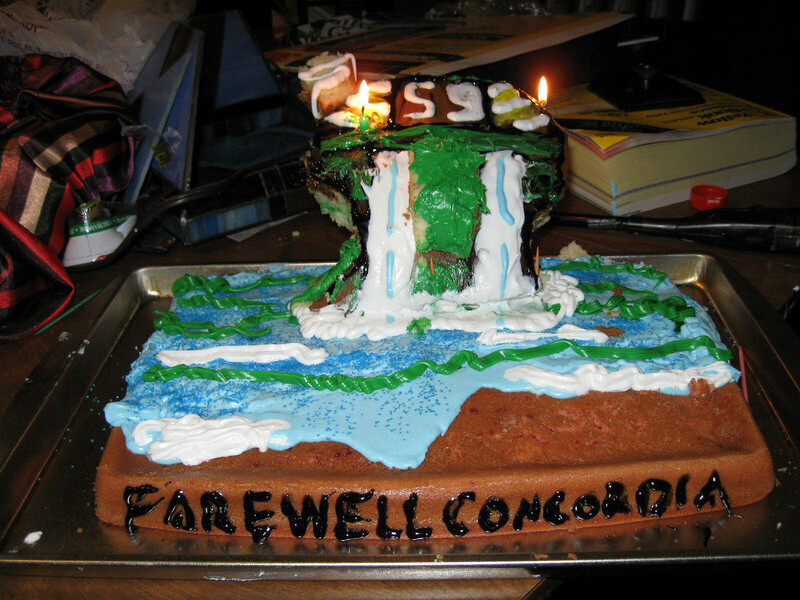 Well, it's not even pie really, but cake is just as good and frostytheplebe's 'Farewell Concordia' Cake is pretty freakin' amazing. There's actually lots of cakes to choose from! A lot of Wing Commander fans never saw the new intro to The Secret Missions on the SNES, although the rerelease in EA Replay increased the number by quite a bit. 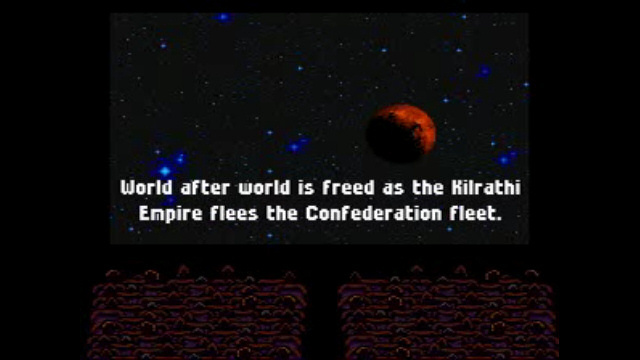 As an integral expansion to WC1, the game never had a proper intro on the PC, but it got a very fancy one on the Super Nintendo. Now the clip has been posted to YouTube so everyone can see! 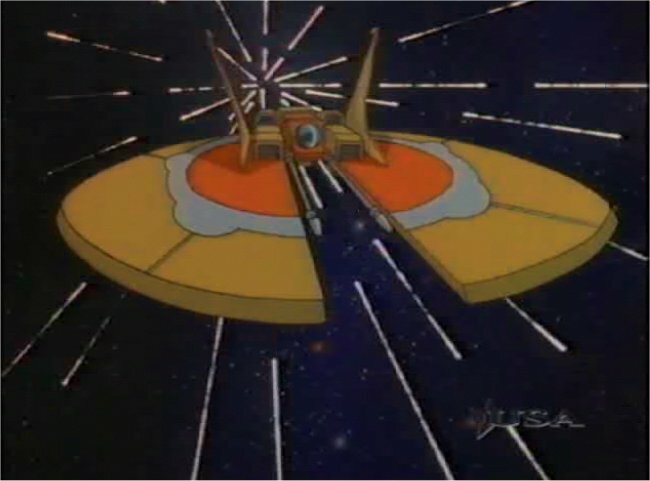 Keep watching and the clip also reveals the then-high-tech "mode 7" takeoff sequence. Check it out here. 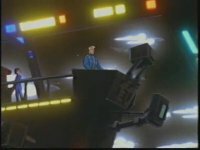 If Prelude to Darkness got you on an animation kick, don't stop there! Watch the Wing Commander Academy series and increase your WC knowledge at the same time! Check out the Viewers Guide for some helpful information on alternate orders to watch the episodes in. Happy weekend Academy marathon! 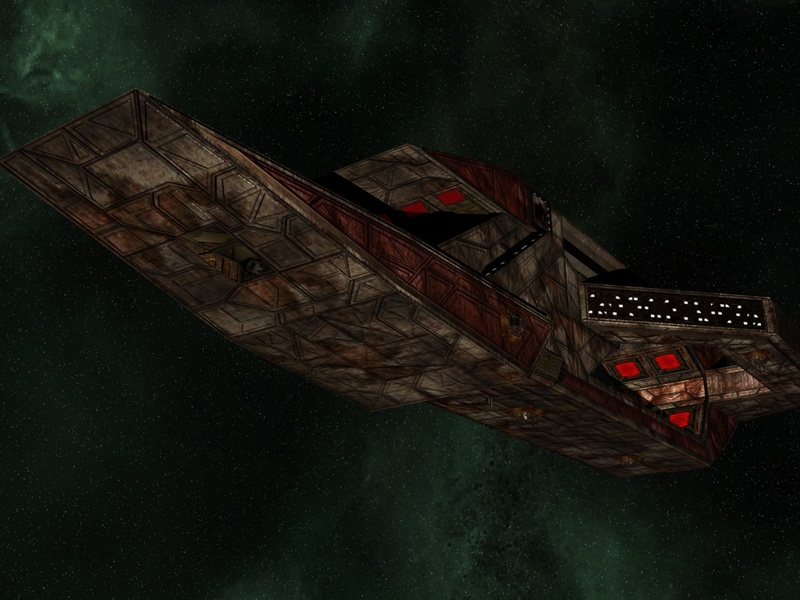 The eighth chapter of Frontier - Prelude to Darkness has been released! 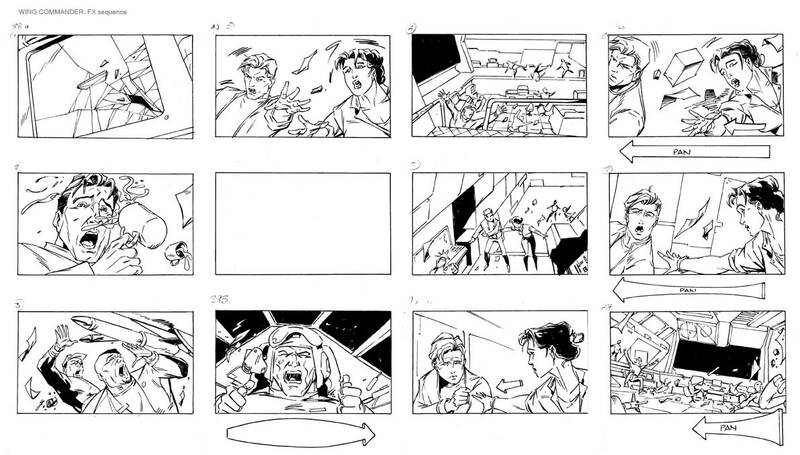 Part 8 is about a massive planetary invasion, and it's jam packed with explosive action. Go watch it! 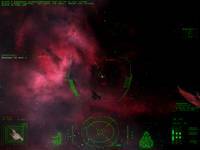 MAIN STORY - In the 23rd century humans have ventured into the stars. 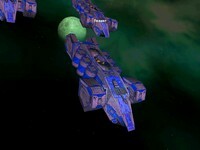 Two empires vie for power along the known sectors of the Milky Way - the Terran Imperial Union and the Dakota Republic. The invasion begins, Devers and his platoon are launched down to the surface onboard a UC-78 Raven - however the ride will be far from a smooth one. 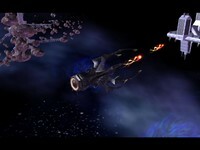 Meanwhile the wormhole opens again spitting something out - Commodore Greene orders the U.S.S. Hammer to investigate. 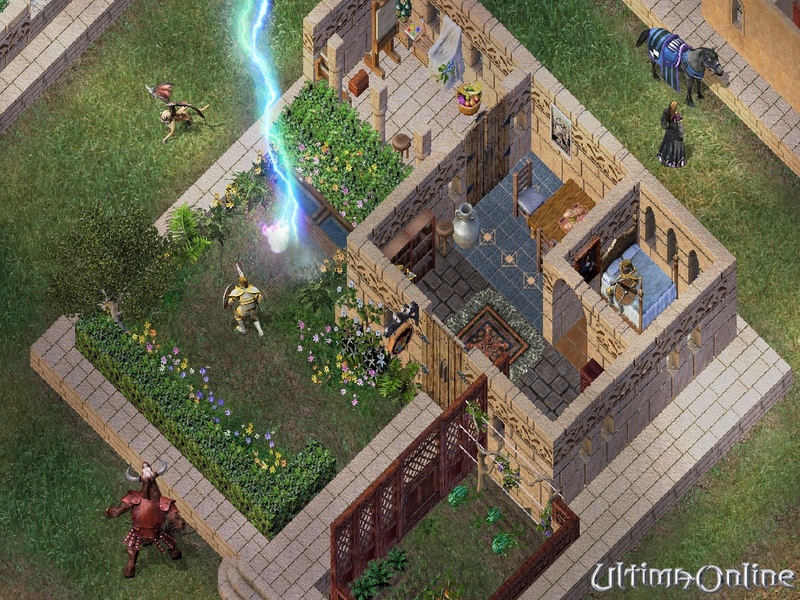 The producer of Ultima Online, Calvin Crowner, recently wrote an open letter to the community and discussed "what the heck they were doing." At twelve and a half years old, there are occasional question about what kind of longevity remains in the game and where UO will go in the future. The developers are refreshingly upbeat and positive about their work, which is really nice to see. Check out the full letter here. Final thing: What are we doing about the live story arc (see the reference to Magincia above)? We need to resolve the relationship between Dawn and Zah. How are we going to do that? Well I’m a believer that we seed you with some of the basics and let the community roleplay the outcome and transitions for the story. In short, as in Dungeons and Dragons, we’ll give you the nodes of the story, and allow you to fill in the blanks. Finally, not sure if you’ve heard, but the team has been playing in Baja. The reason? Cause we laugh hysterically when we do, and two, we want to learn how to reduce the barrier to entry for those who want to play our game. We need to understand what the ‘X” is for UO and help others get into it and love it as much as the community and the team does. I’ll be opening a blog in the near future that will journal our exploits (in a journey sense, mind you … not a cheating sense). I will tell you I recently played another game that had a barrier of entry not unlike UO’s. But there was one major difference … when I play on any shard invariably there is a person who will assist and take me aside and shake his or her head sadly saying …”No no no … This is what you do …” Recently someone has helped one of our artists make her way into the warm fold of Ultima Online, and now she’s working on buying a house, when she swore she’d never be able to get into the game. That is UO. Eventually, everyone will understand how magnificent and sublime it is. I believe it because I’ve seen it. Oh ... one last note... thanks to the guy who put up the MacDonald’s on Baja … it looks great in presentations to execs about what makes UO … UO. And for the record … I am gearing up a mage. Yes, I played a tamer for a while, and got all kinds of grief … and why the heck do I have to have 100 LRC anyway? 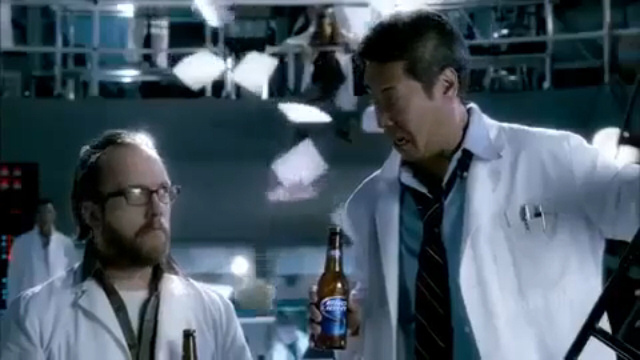 There has to be a way that I can reduce the cost of reagents without having to know a dozen imbuers to get what I need. I’m gonna have to see who is in charge around here!! 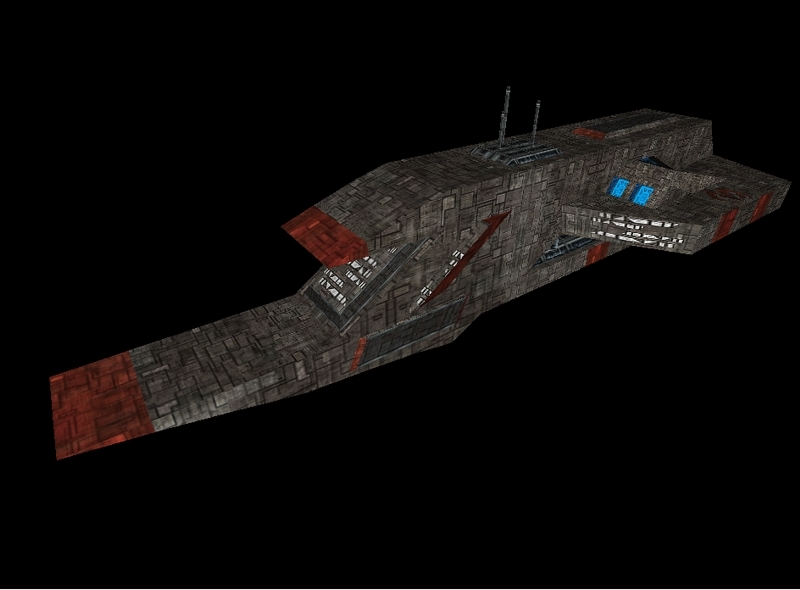 JasonRocZ has posted a whole bunch of screenshots of his Wing Commander Collateral Damage ships in the Vision Engine. 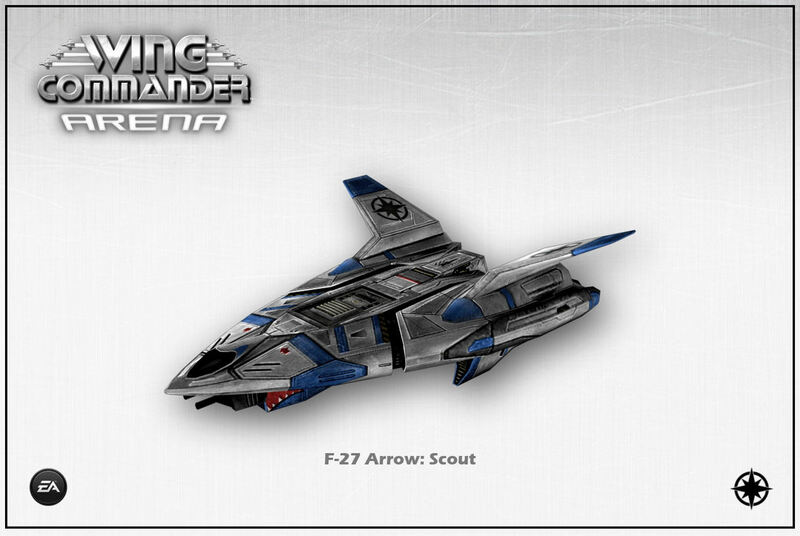 Note how he's given some of the ships cool styling touches from WC Arena, such as the Arrow's angled vertical fin. 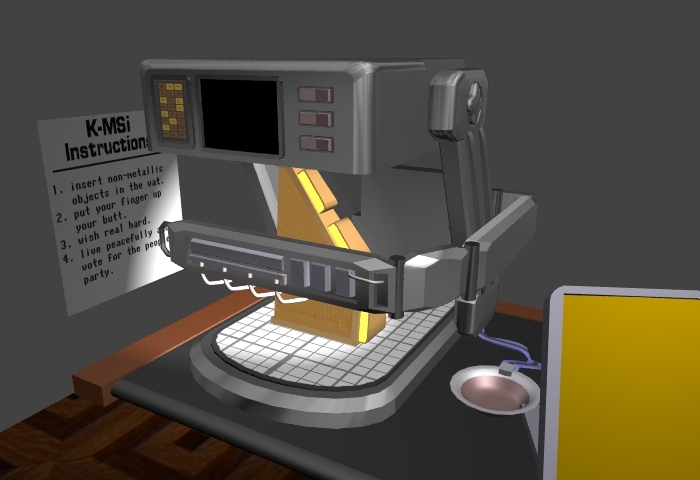 These were shot in Direct3D mode, but would look even better with Secret Ops' OpenGL patch. It's definitely a nice change to see these flying in "real" space instead of posed on the rendering screen. GameSpot has posted highlights of an interview with Electronic Arts Chief Operating Office John Schappert on digital distribution and social gaming. The exec feels very strongly that retail sales are complemented by the ability to download games directly and access additional content. 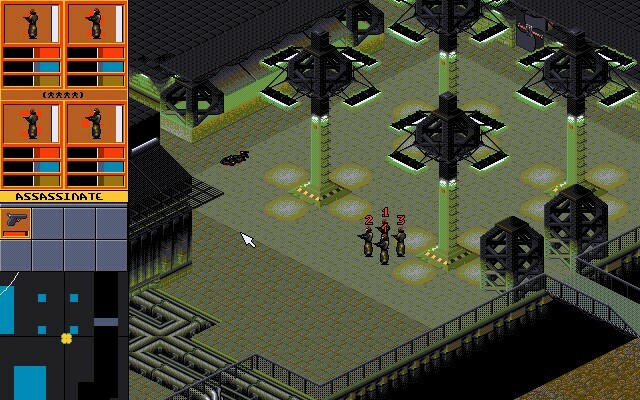 EA's recent purchase of a major Facebook & browser game developer, Playfish, will also help spur both classic rereleases and new franchises in the near future. Check out the full article here. Schappert said EA has seen consumers buying fewer games of late. Sales of the top 10 games are representing an increasing amount of the industry's total take. He added that if a publisher doesn't have a game in the top 30--and arguably, the top 20--then that company isn't making money. Hit games are bigger than ever, he said, and they're selling for longer thanks to downloadable map packs and other add-ons. While Schappert stood by the "shiny disc business," he emphasized that the model has changed, saying the days of "ship it and forget it" are behind the industry. 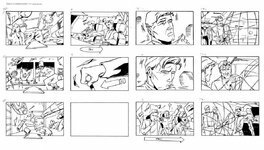 Kevin Caccamo continues to make progress on his Landreich Campaign addition to WC Saga. He's made the gun crosshairs resemble those in WC1/2 and added new graphics for missile locks, shields and other HUD elements. Gun blasts have a new muzzle flash and the Hornet can now 'Shelton Slide'. The project has even gotten a name, Wing Commander: Hostile Frontiers. The next updates will give away some of the plot details about the main character and the beginning of the campaign, and possibly an interview. 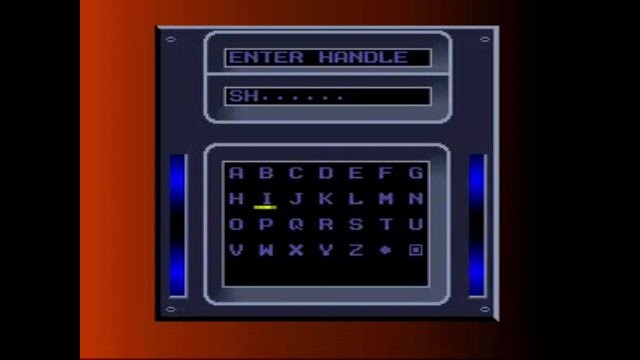 As a little preview of what's coming next, the main character's callsign is going to be Rider. 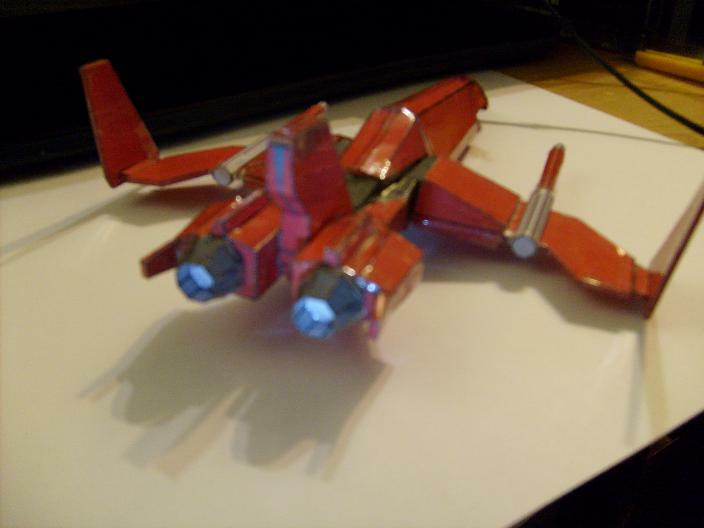 Belated credit goes to Travis Baldree for the Hornet model. Oh, and you know the reverse afterburn thing that Bondarevsky does in FC while escorting the Bonadventure on its kamikaze run? Although it's against just about every safety regulation, YOU CAN DO IT TOO! 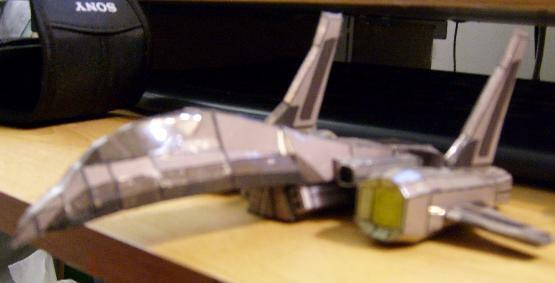 I added a reverse afterburner to the Raptor, thanks to a new feature in 3.6.12. 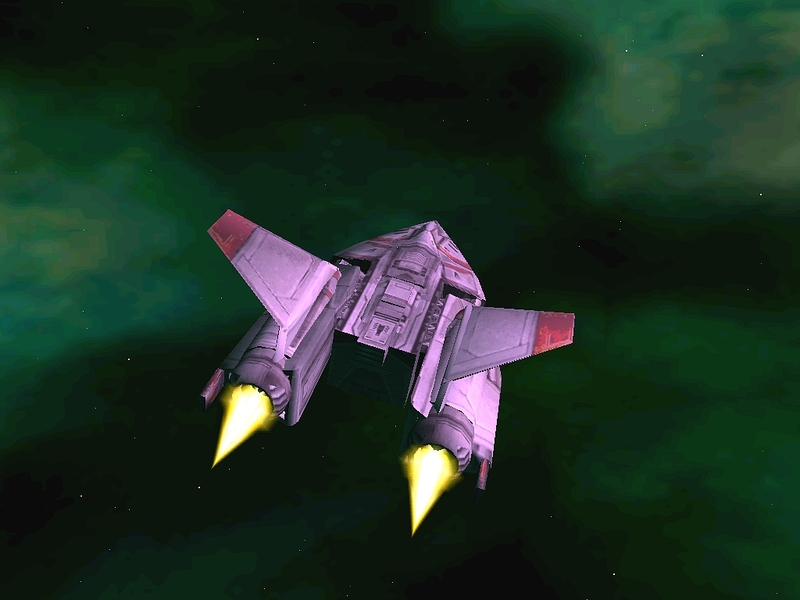 To activate it in-game, press the decelerate key and the afterburner key at the same time. Tech support questions continue to stream into the Crius.net, so we'd like to let newer visitors know about the CIC Tech Support Section. 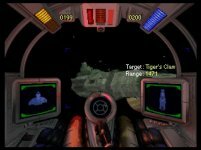 Detailed walkthroughs are available to help Wingnuts get every DOS and Windows Wing Commander game running on modern systems. There may be some new issues to work through with Windows 7 and 64-bit systems, and feedback from users of these platforms is much appreciated. If the walkthroughs still don't get your game going, head over to the CIC Tech Support Forum and ask for help! 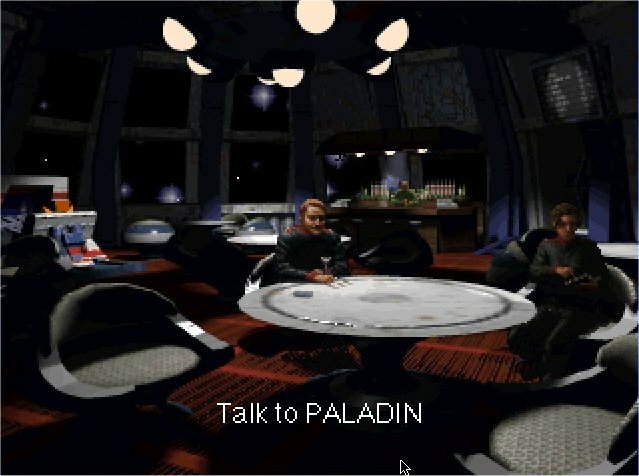 Research & discovery continue this week with the second chapter of the group read-along of Wing Commander Freedom Flight. This week our bibliophiles are reading pages 23 to 48. It's really easy to catch up, and there's plenty of room for people who start late to contribute, so join in the discussion! 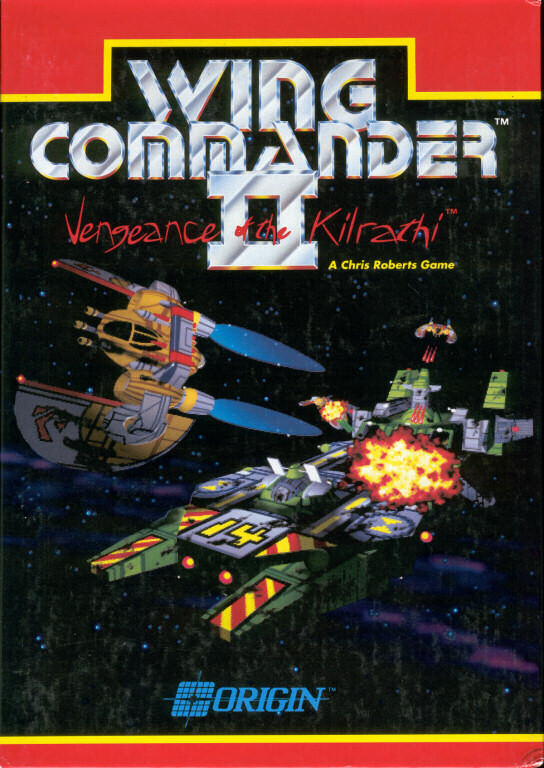 Are there any changes between the excerpt included in Wing Commander II and the finished book? This chapter immediately seems different because we've "seen" these places before. What impact does that have on the narrative for you? Do the authors address that fact? Start weaving this chapter in with specific conversations and missions in Secret Missions 2! Who the heck is "Puma"? 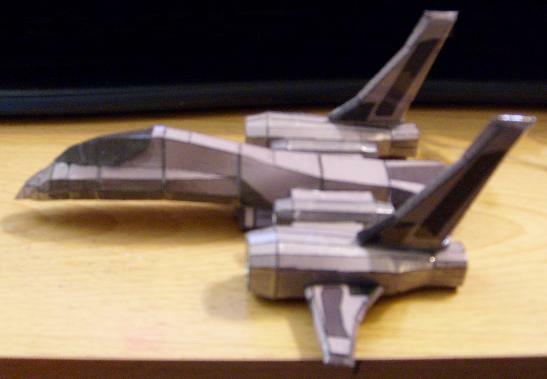 Why wasn't he in the Super Wing Commander manual? Veteran Wing Commander developer Billy Cain has helped start a new game company in Austin, and they're looking for players of their first game! 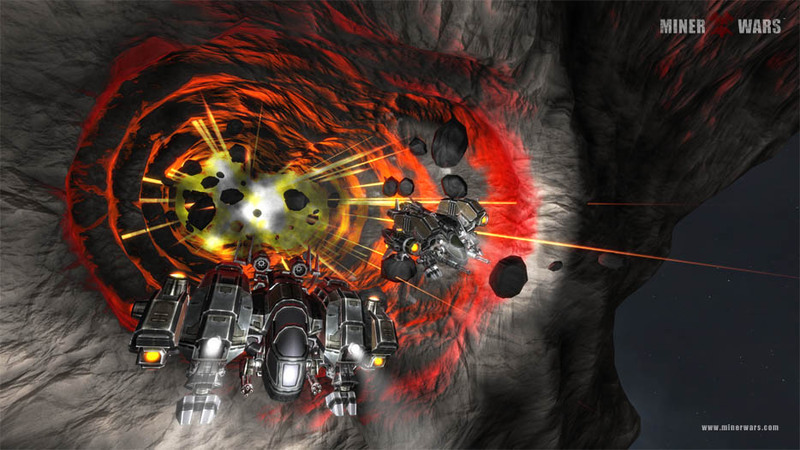 Sneaky Games has just launched Strife of Sevens, and it's now free to play on Facebook. In addition to the new title, the company is looking for people to try out new games before they're officially released. Join the Vanguard Program here. Strife of Sevens is a free to play game set in the magical lands of Isdyle. Take part in story driven adventures and quests, explore new kingdoms, and fight epic monsters with your friends. In Strife of Sevens, many challenges and rewards await! Have you ever wanted to play a game BEFORE anyone else could play it? 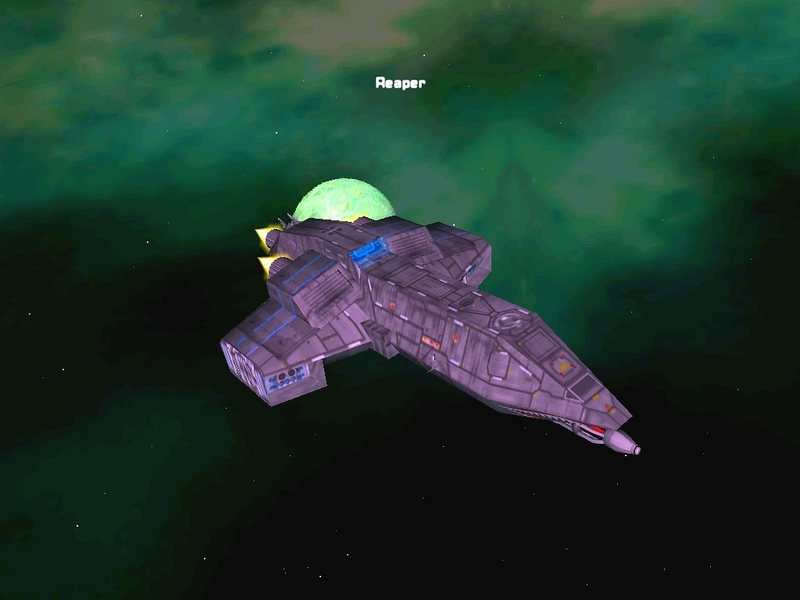 Interested in telling the game developers what you think about it? Do you really want your opinion to be heard? If you do, you should be part of our Vanguard Alpha team! Please read the rest of this, and if you wish to join, please fill out the form at the bottom of this page and press SUBMIT. 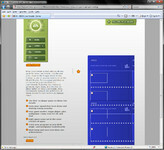 Then we will email a code to you that allows you to enter the game as soon as we can! 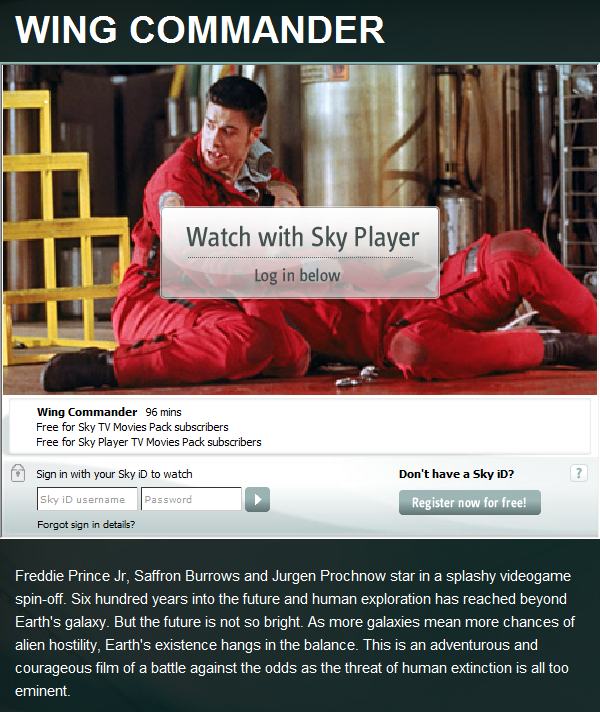 The British Sky television provider is offering Wingnuts another way to watch the Wing Commander Movie. Subscribers of the Sky TV Movies Pack & Sky Player TV Movies Pack can see the film over the network's website. And check out their wacky weird plot summary! Freddie Prince Jr, Saffron Burrows and Jurgen Prochnow star in a splashy videogame spin-off. Six hundred years into the future and human exploration has reached beyond Earth's galaxy. But the future is not so bright. 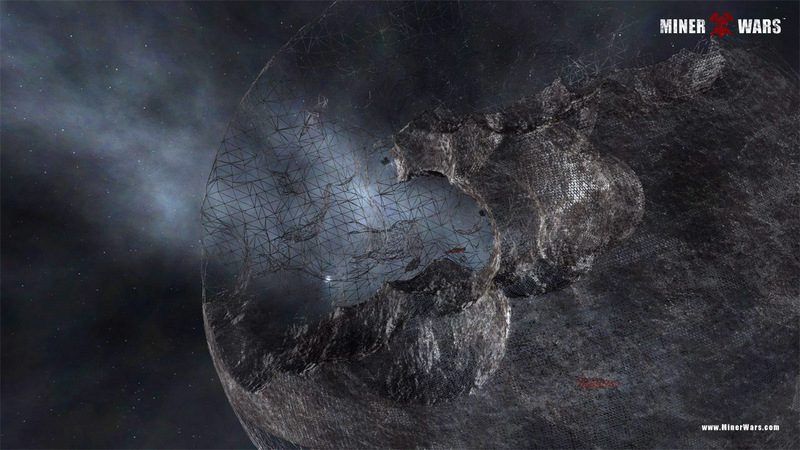 As more galaxies mean more chances of alien hostility, Earth's existence hangs in the balance. This is an adventurous and courageous film of a battle against the odds as the threat of human extinction is all too eminent. 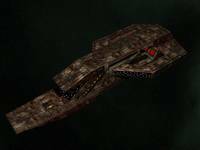 Dahan has posted the first four chapters of his remake of 2629 - An Officer's Beginning. He began writing the story in 2005, and then returned to it last fall to refresh the text a bit. 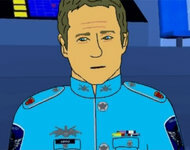 Check out the full story so far here and all the recent fan fiction in the CIC Fan Fiction Forum. The new poll asks what your favorite bomber is. 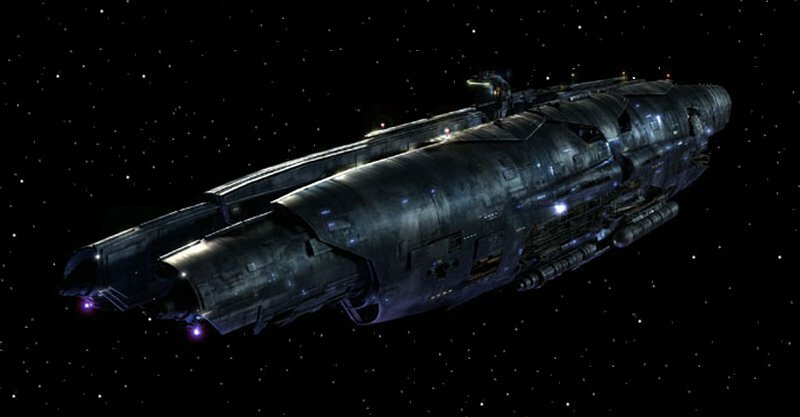 There's plenty of fighters that can take out a massive warship and many ways to launch a torpedo, but what's the best ship to do it in? You have quite a few to choose from! The last poll inquired about landing methods. Different ships we've flown off have markedly different touchdown routines. 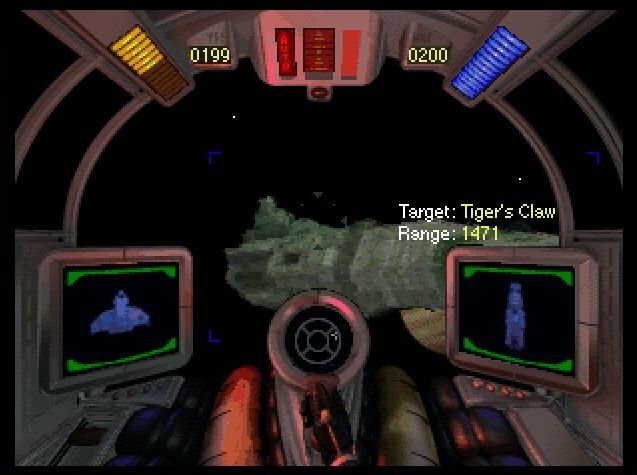 Although far less technically advanced than zooming through the Victory's flight deck (the 2nd place winner), the most popular option was lining up with the Tiger's Claw's nose. Cinema Blend reports that John Rhys-Davies has ruled out playing a dwarf again in the upcoming Hobbit film, citing, among other things, the difficult working conditions for the part of Gimli in the Lord of the Rings trilogy. Wing Commander Invasion is getting a third faction, and Major Payne has decided that it will be the Nephilim. 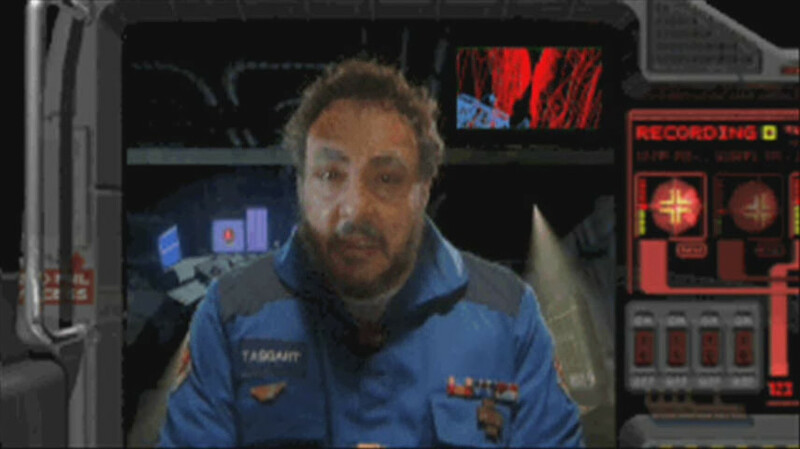 He's repurposed the Bugs' Comm Relay as a creepy new starbase. The structure launches little monsters that seek out and pull back asteroids. The infected asteroids then act as detached weapon platforms. It's a very creative concept! Just something quick to prove that work goes on. The third race has been decided as the Nephilim (I have something else planned for the Border Worlds). This starbase will provide access to the Nephilims ships and upgrades. Now before anyone mentioned it, yes I know this is the actual Nephilim Relay from Prophecy, but the other structures from the original Invasion mod were, to put it simply, rubbish. 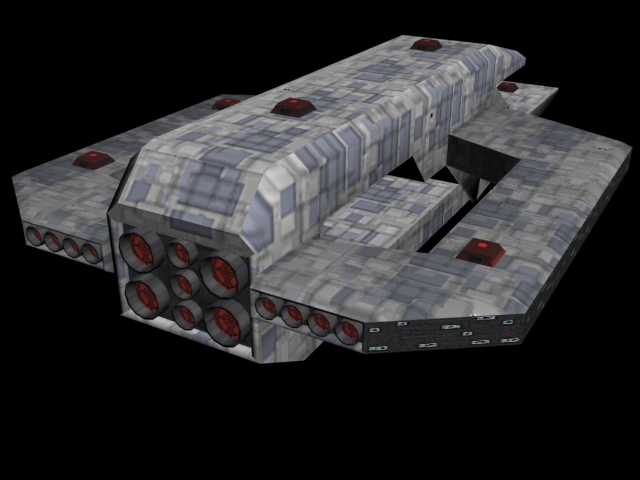 This has been scratch built using the references from WCNews as well as the texture I already had (which was also mapped onto the model). 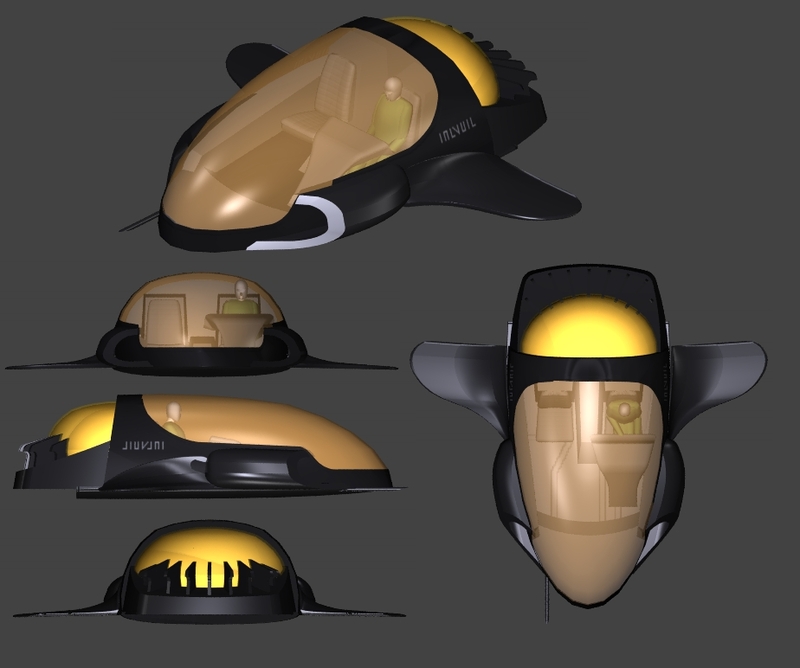 Poly count is under 7500 so its well within tollerances for a single usage model. 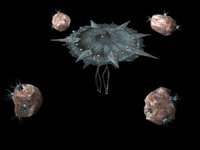 The basic idea behind this structure is that it has the ability to launch "spore" like creatures who can latch onto asteroids. These are then held within a gravity type distance and would "orbit" the central structure. 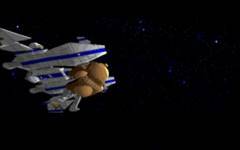 These spores are also capable of firing Nephillim style weapons so eash asteroid also acts as a heavy "turret". Upon the structure's destruction the spores will also detonate and destroy the asteroids they inhabit. The structure itself is also armed with smaller weapons than the spores so can defend itself directly. Hopefully by now you've gotten your copy of Freedom Flight and are busily taking notes. As you read the first chapter, visit Crius.net and share your thoughts on Ghorah Khar, Ralga's mission and the adventure that awaits! 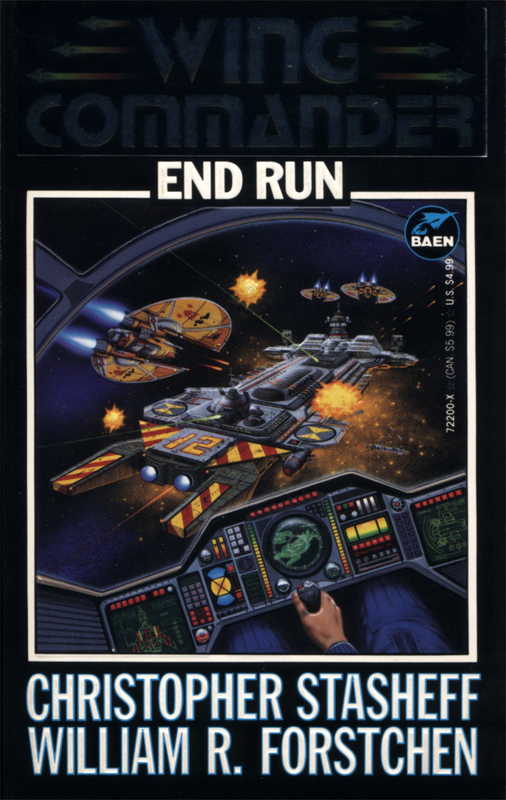 Freedom Flight is the first Wing Commander novel. 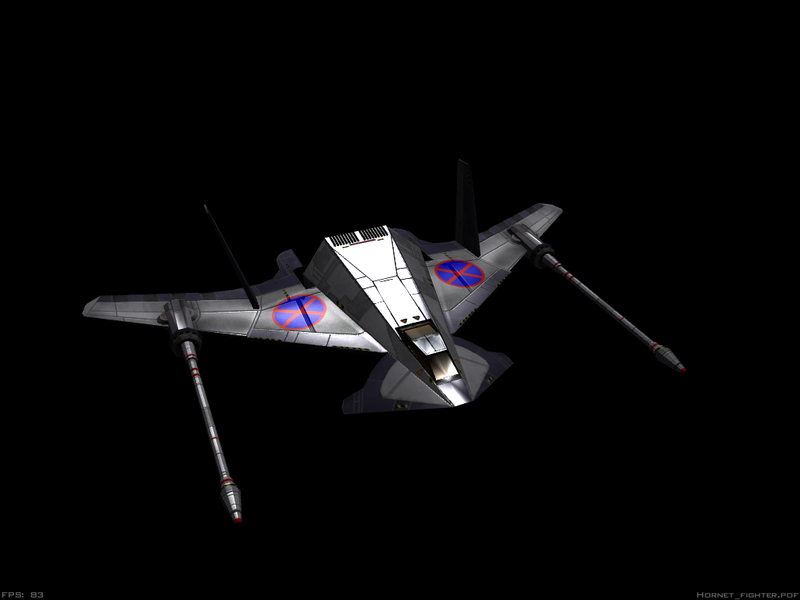 It is often overlooked, as it has a distinctly different tone and connection to the Wing Commander games. 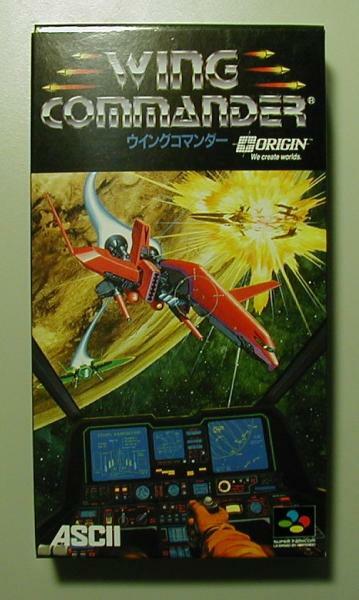 In fact, it is probably more like a real Wing Commander game than any other book, since it is written by the same woman and in the same style as Wing Commander II itself. It is also often written off as a novelization of Secret Missions 2. The two stories overlap, but I would argue this is a narrative device rather than the whole of the book. 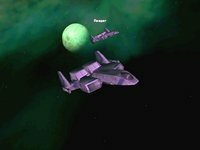 Freedom Flight ends up telling a very different story, which goes well beyond the bounds of Crusade. 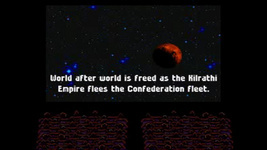 It’s also an enormously important look at Kilrathi culture and general life in the Wing Commander universe. 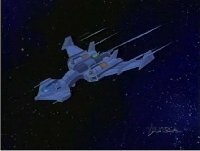 While few of you consider Freedom Flight your favorite, it probably impacted later stories in ways you don’t yet appreciate. After many hours of work, RapierDragon has completed the design of his paper Firekkan fighter. The body was recently made more aerodynamic and a cockpit canopy was added in. The download package includes the ship as pictured below, plus two special editions. Bonus fighter #1 includes Firekkan concept art from WC Arena and the other lets Wingnuts draw in their own designs. 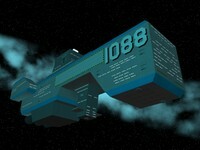 Download the ship here (3.8 meg zip). 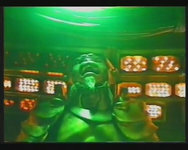 IMHO: it looks like it would dance around the Excalibur while blasting it to bits. Got to be one of the coolest designs ever. 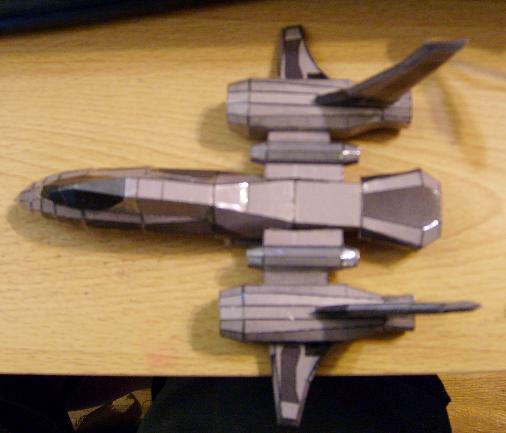 Got to be my most favorite paper design. 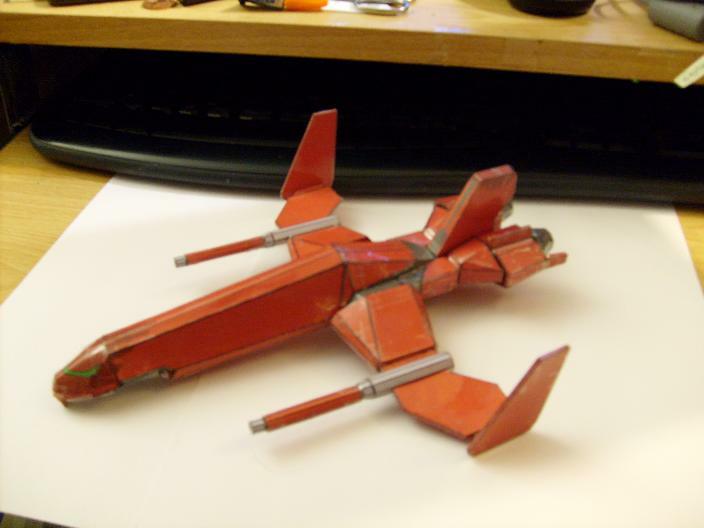 Alternate parts are included, so you can either build it with the red tattoo lines, without the red lines, or edit your own tattoo pattern in (via Windows paint) or print the no-lines version and then use a marker or whatever to design your own. Windows XP does some wierd funky thing for some printers where your monitor's display settings will alter the exact size/dimensions of printouts from windows paint. Make sure your screen setting is at 1:1.333 (1280x960 is good setting, as is 1024x768). A good way to test is to draw a vertical line 96 points long, and a horizontal line 96 points long and then print it and measure it with a ruler. If the vertical and horizontal lines aren't identical, then your monitor's display setting is causing windows to slightly "stretch" the print-job... the result being that many of the model's parts won't fit together nicely. 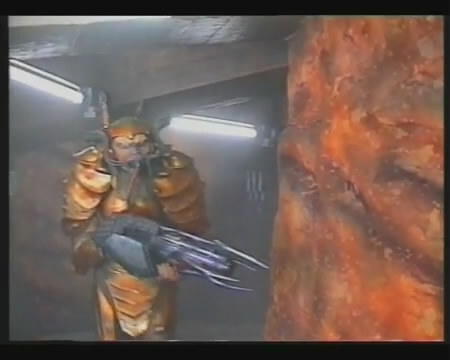 Crowley snapped a funny screenshot of a "notoriously buggy" cutscene in WC2: Special Operations 1. 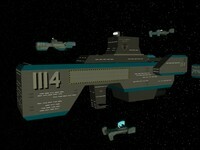 Major Edmond is pictured aboard the TCS Grimalkin without her uniform. 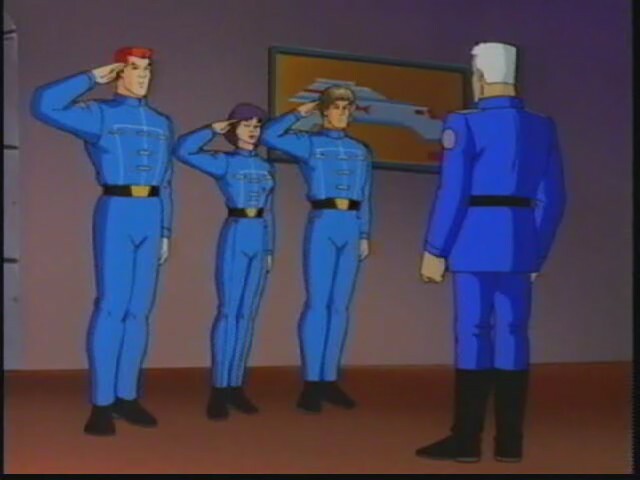 Characters seem to have initially been created with their shoulders and neckline visible, and then clothing was added on top. Occasionally the body portion could disappear entirely, or the wrong body could even be attached. This is present in both the DOS and Kilrathi Saga versions of Special Ops. The next episode of Frontier - Prelude to Darkness is now about three quarters complete, which puts Chapter 8 on track for a March release. 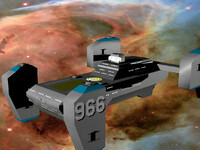 lew82 has overcome some recent computer problems in order to forge ahead with some heavy duty rendering. 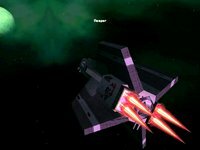 The transition from space battles to a planetside assault requires quite a few processor cycles to encode, but the end result should be worth the wait! An exciting adventure begins today! LOAF is leading a close-read and inquisitive conversation about each novel in the Wing Commander series, starting with Freedom Flight. The books are jam packed with fun facts and interesting interludes, and this group read will help all Wingnuts refine their Wing Commander expertise. This is also a great learning experience for more casual fans and an amazing way for new readers to get into the novels. The first week begins with just a single chapter, so there's plenty of time to order a copy without falling behind. Head over to Crius.net to participate in the discussion! Here's a brief snippet of LOAF's intro. 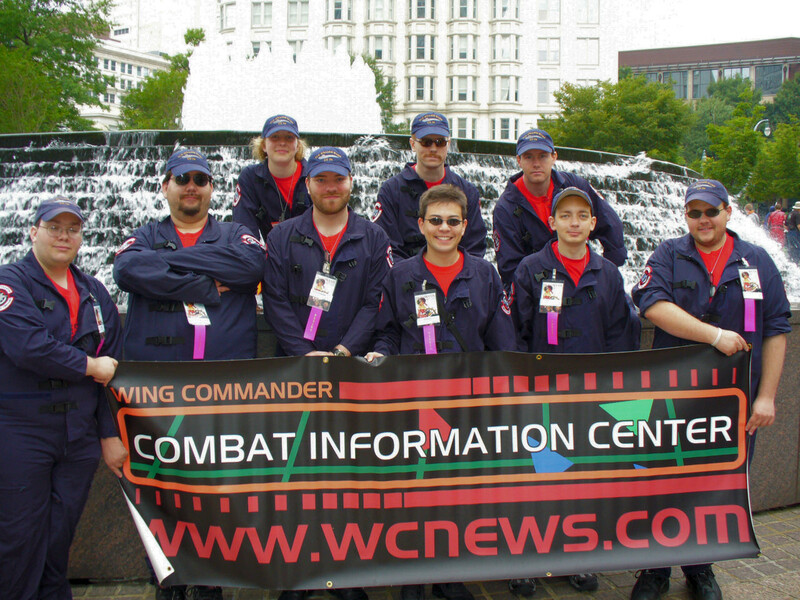 Welcome to the first-ever Wing Commander Combat Information Center Wing Commander novel read-along (try saying that three times fast)! 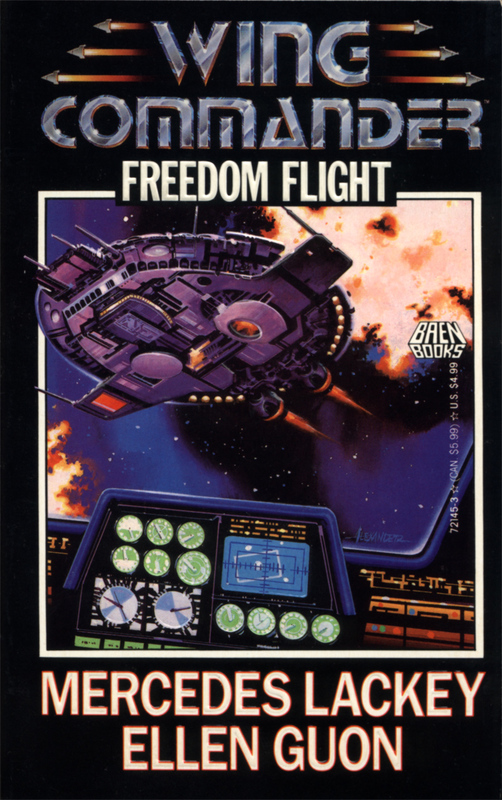 We will be conducting a ‘group read’ of the entire Wing Commander series of books, starting with Freedom Flight. Anyone is welcome to join in, and there’s no requirement that you all read every book. Join in when you can and have fun! I will provide an introduction, a reading assignment and some materials each week and will then join in the discussion myself. We’re going to start very slow in order to get the hang of the process—with a single chapter or two. As we get into the swing of things, we can choose to do longer portions of the books depending on how we feel it’s going. This isn’t just fun and games, though! We’re also hoping to use the experience to ‘finish’ the portions of the Wingkipedia which relate to the novels as we move along. Find any references to time. When does this chapter take place? What other events are mentioned? Even without a chapter heading specifying the date, we can construct a timeline using internal references to the amount of time that passes. Where does the chapter take place and what does the text tell us about a particular ‘set’? 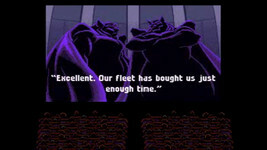 For example, the first chapter of Freedom Flight includes a conversation between Ralgha and Kirha as they travel from the bridge to the flight deck of a Fralthi. 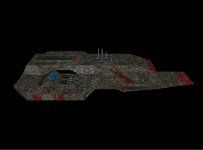 What do we learn about the layout of the cruiser, as a result? Can you find any references to real historical events? Is the story an allusion to something that actually happened in military history (this is common in Dr. Forstchen’s books)? Are there any references to the events of Wing Commander games? 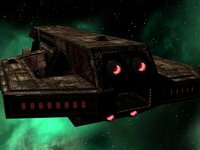 Are there any ‘in jokes’, references to Origin or Baen? Did you enjoy this chapter? Why or why not? Be honest! When did you first read this book? Why was it important to you? 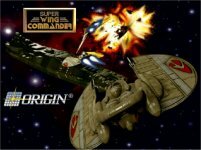 Lets learn your ‘personal history’ in addition to that of the Wing Commander universe! 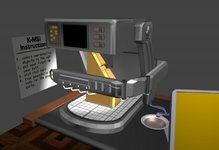 Can you find any portions of the book which are setting up for future stories, either in game or book form? In a possible sign that things are improving, Electronic Arts is creating a new team at its Salt Lake City site. The company has had a mixed slate of strong titles and games that did not meet expectations recently, but multiple rounds of layoffs have trimmed expenses over the last two years. EA has pulled from its Sims developers in California to kick off the new group, and they've posted a variety of job openings. Gamespot has some additional info. The creative director listing indicates that the game will be a new intellectual property and asks for experience with single-player and multiplayer online games. Meanwhile, the art director should have experience with "a mature, contemporary art style," and EA wants a senior online engineer with experience working with the online functions of the Wii, Xbox 360, and PS3.